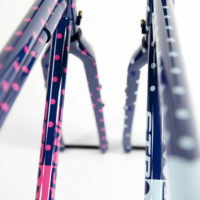 Titanium- All titanium frames are finished “Satin” which is a media blasted finish using glass beads. 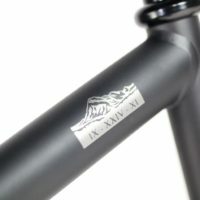 A standard decal set is applied and then the frame is waxed to protect the finish from oil stains and finger prints. 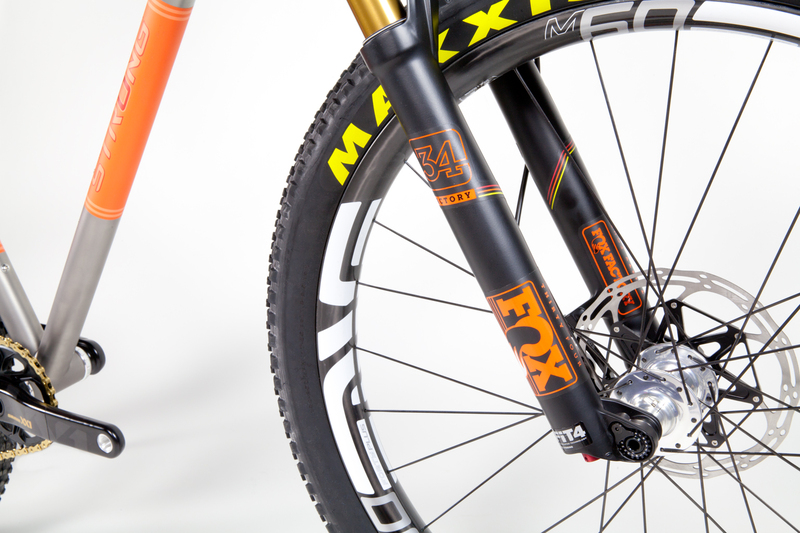 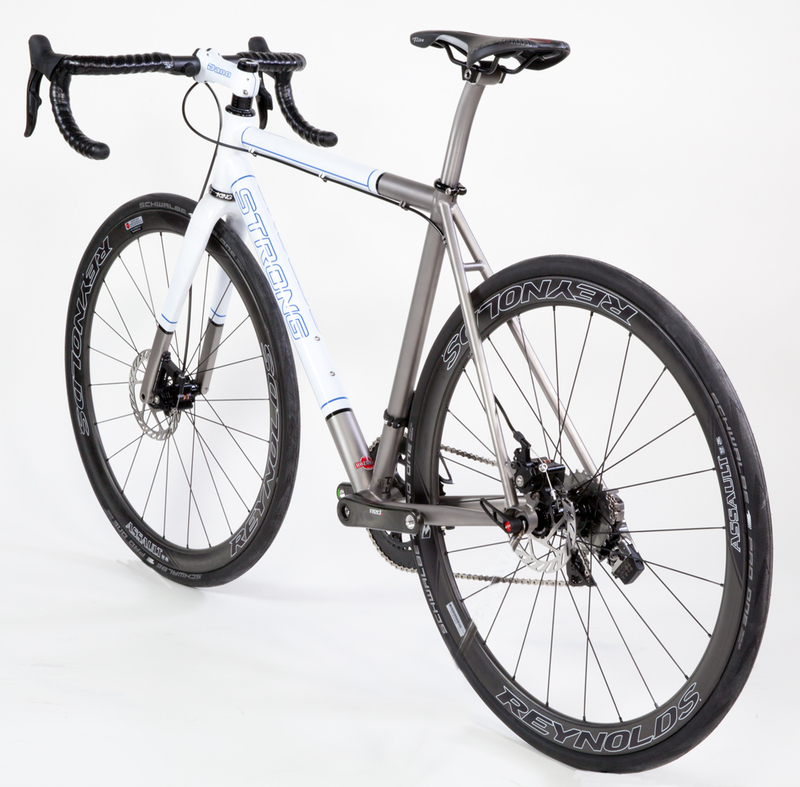 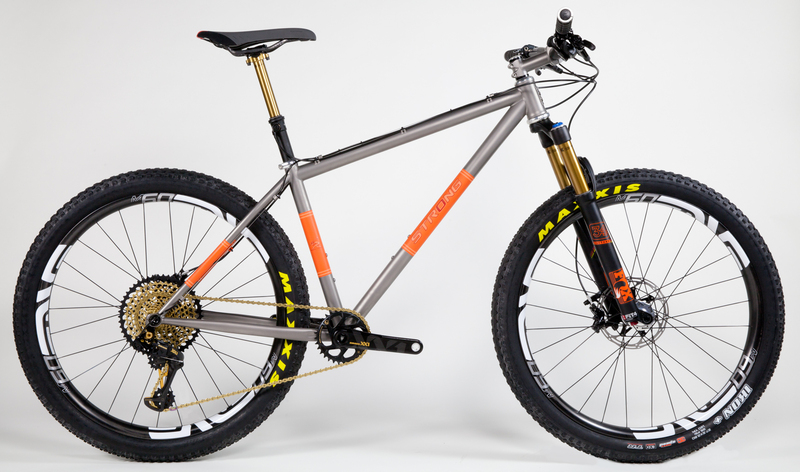 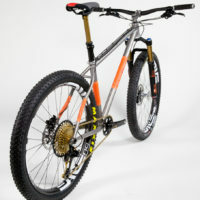 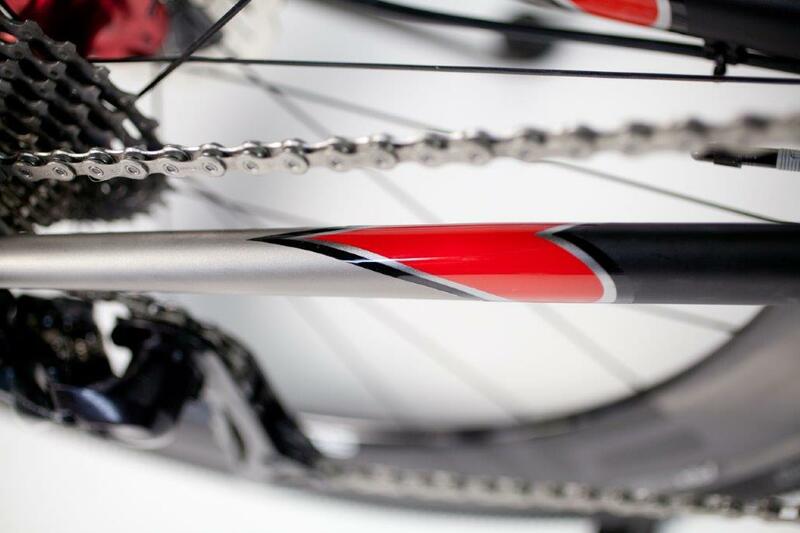 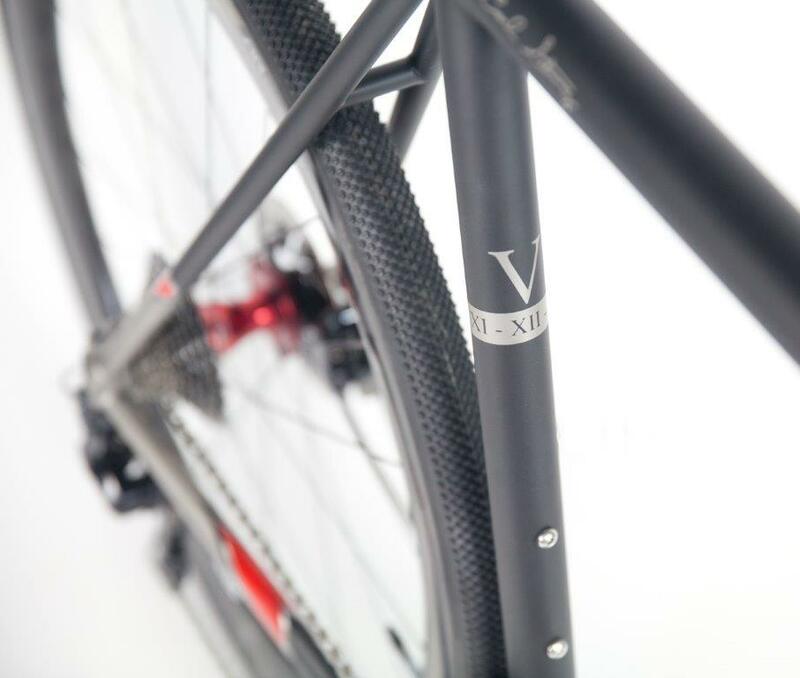 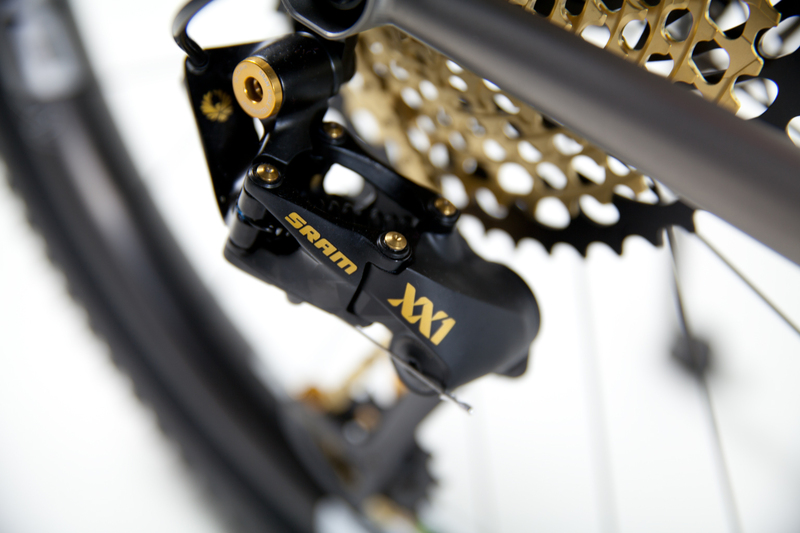 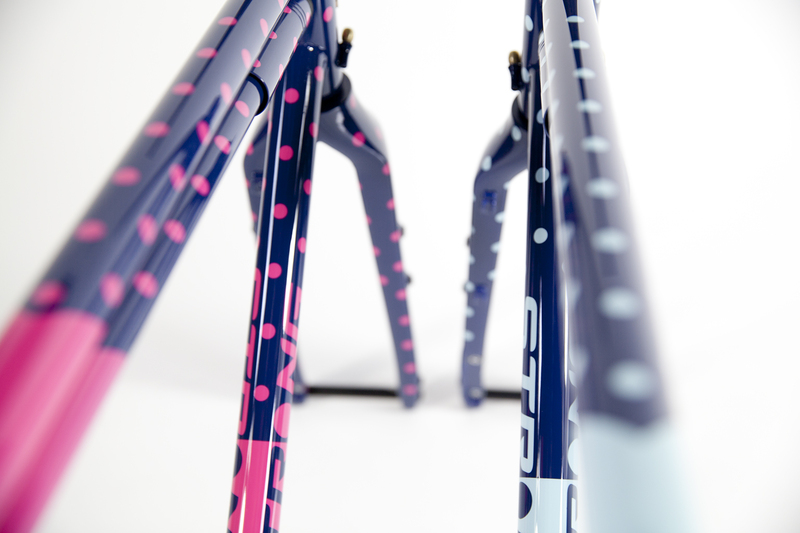 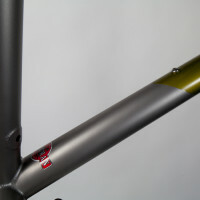 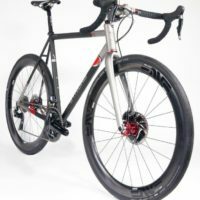 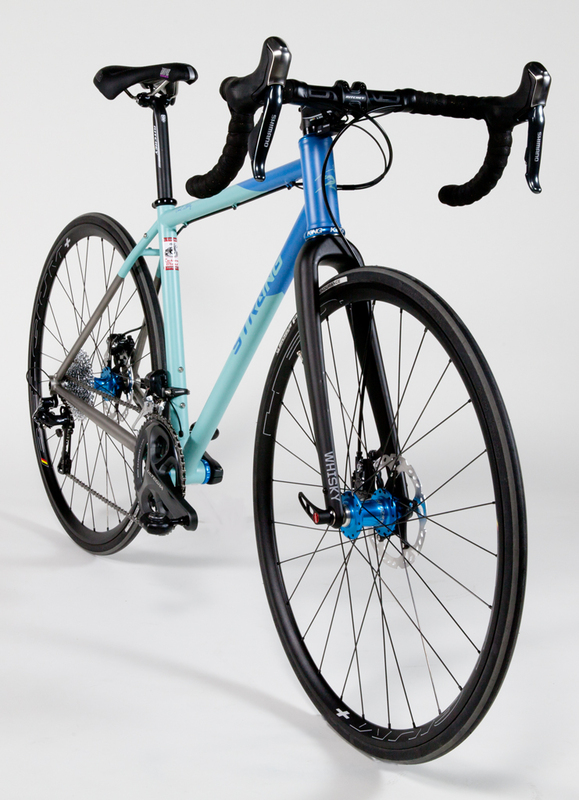 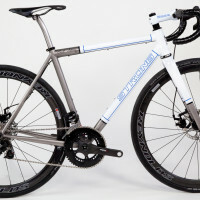 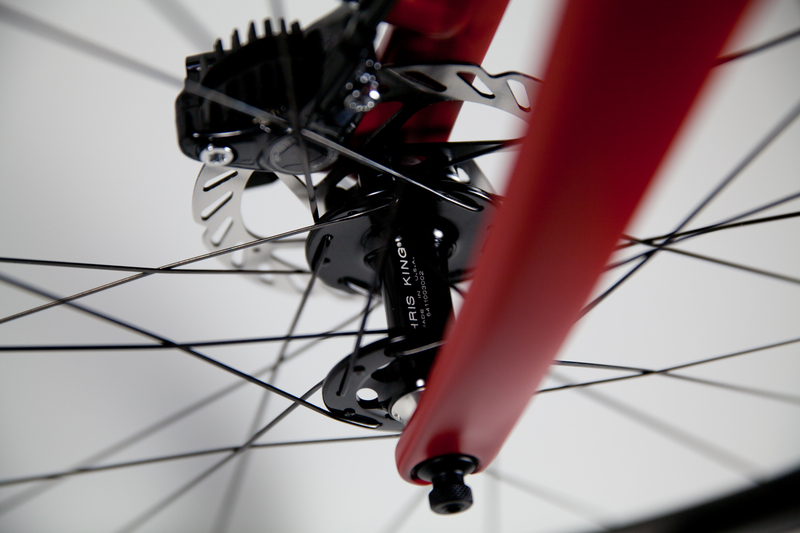 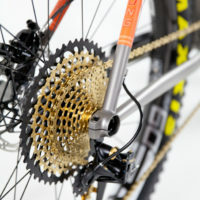 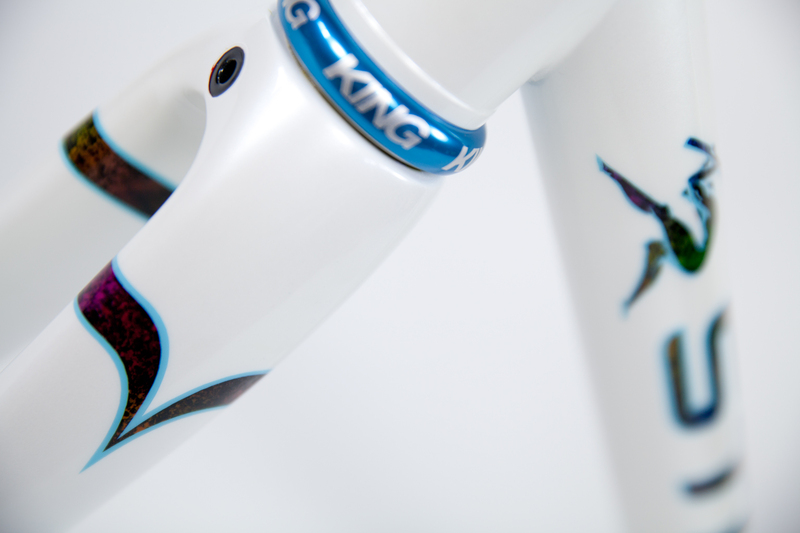 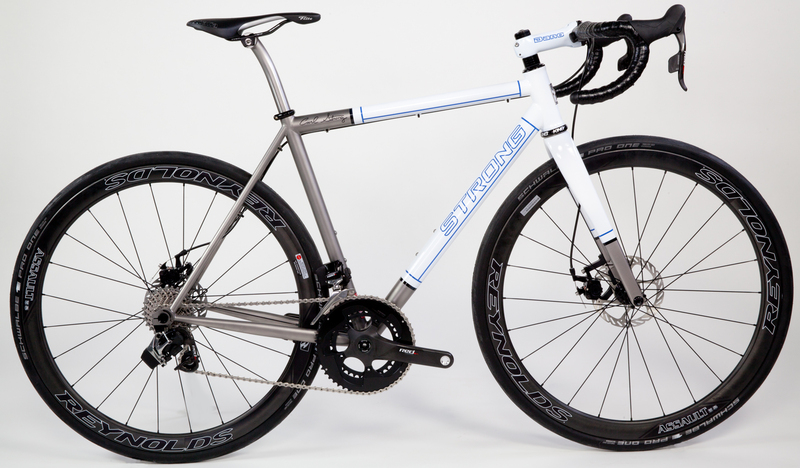 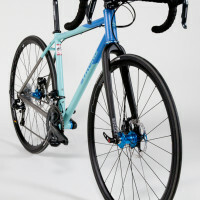 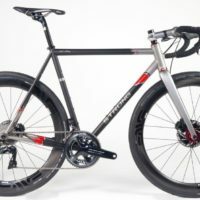 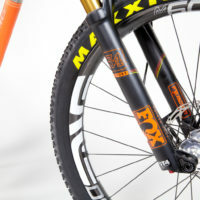 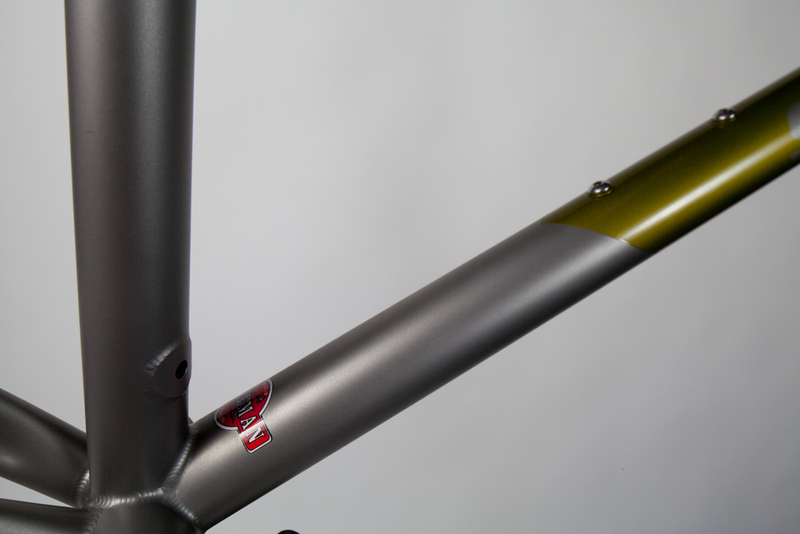 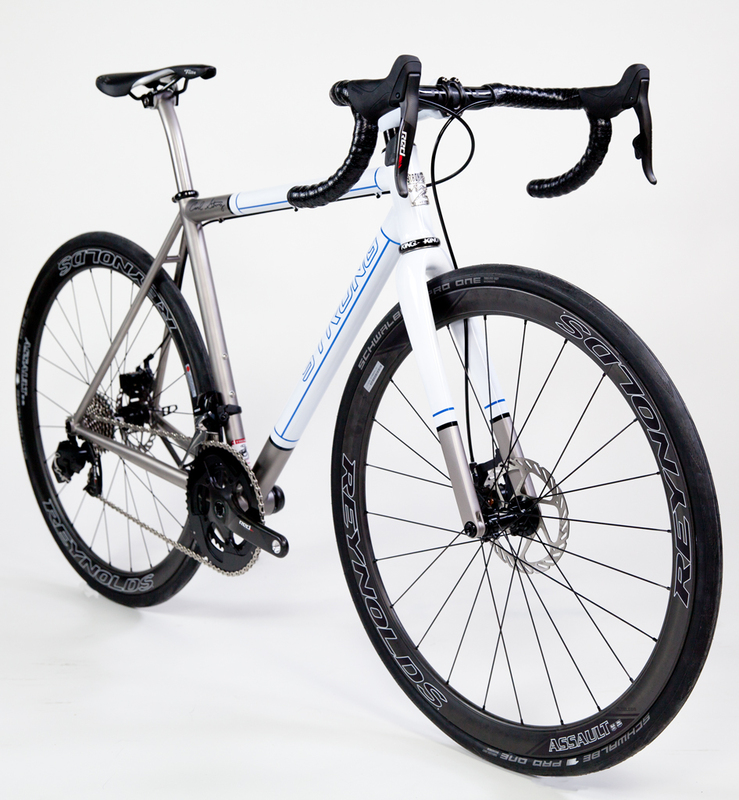 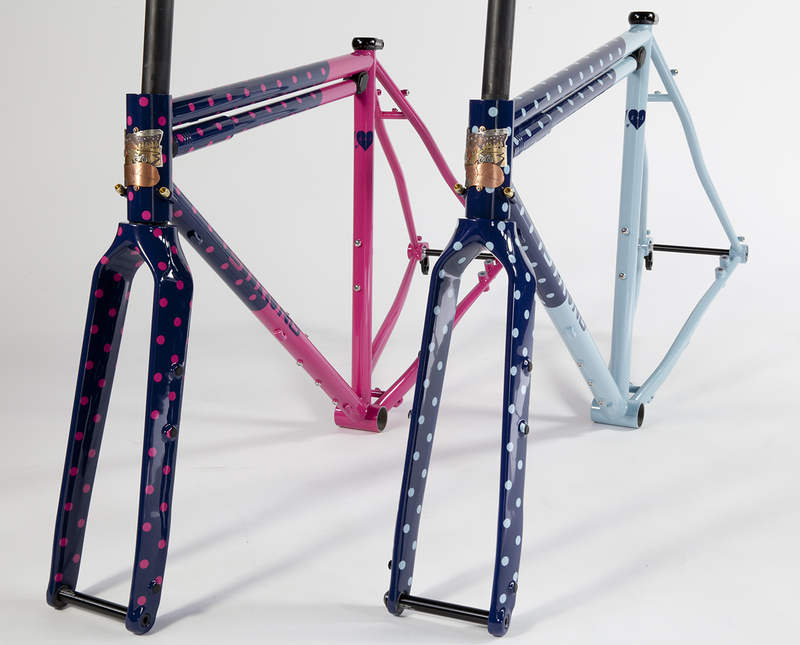 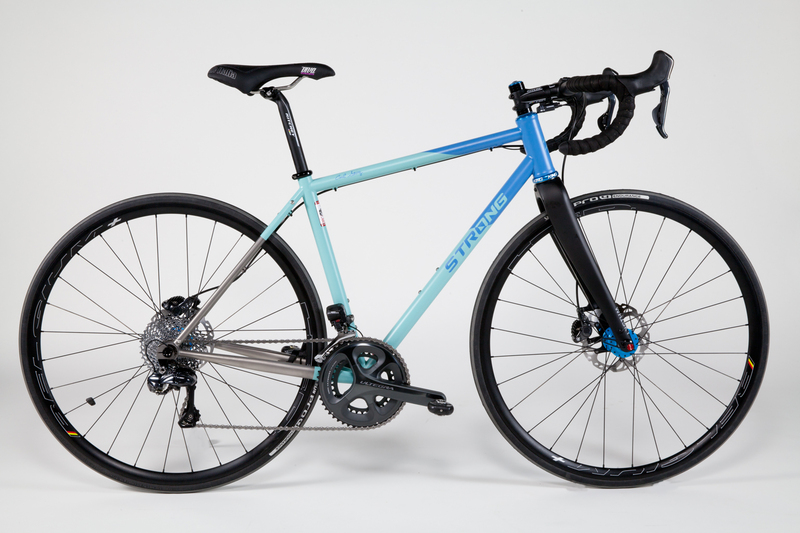 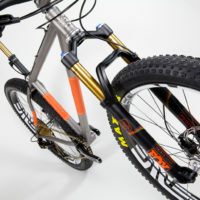 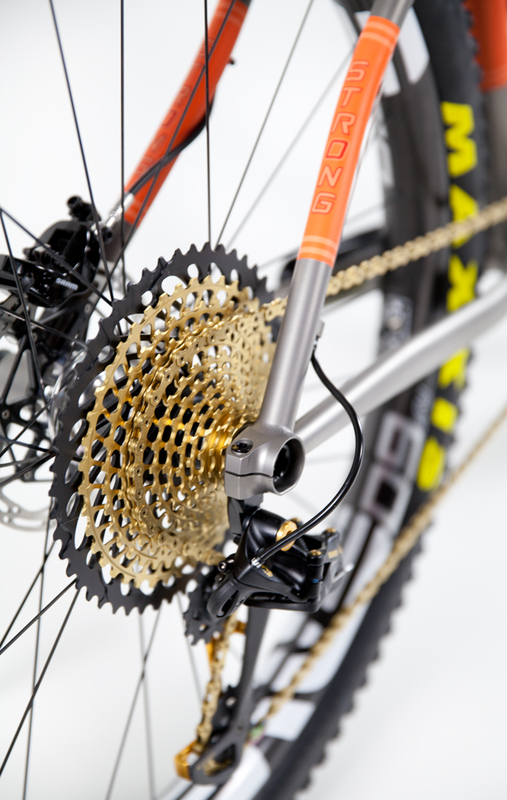 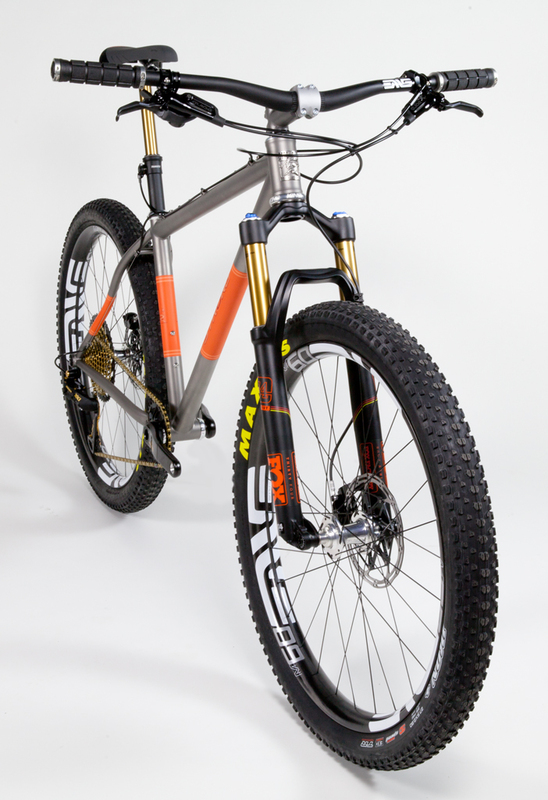 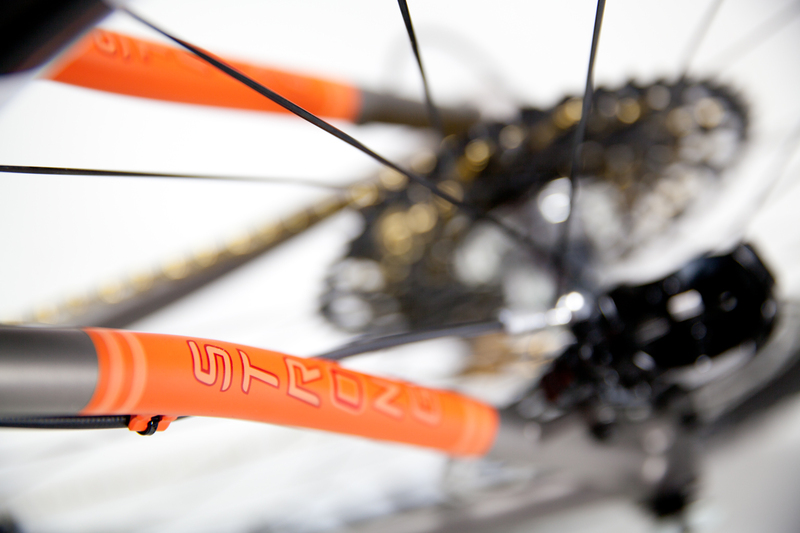 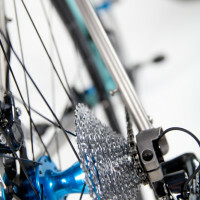 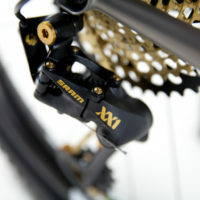 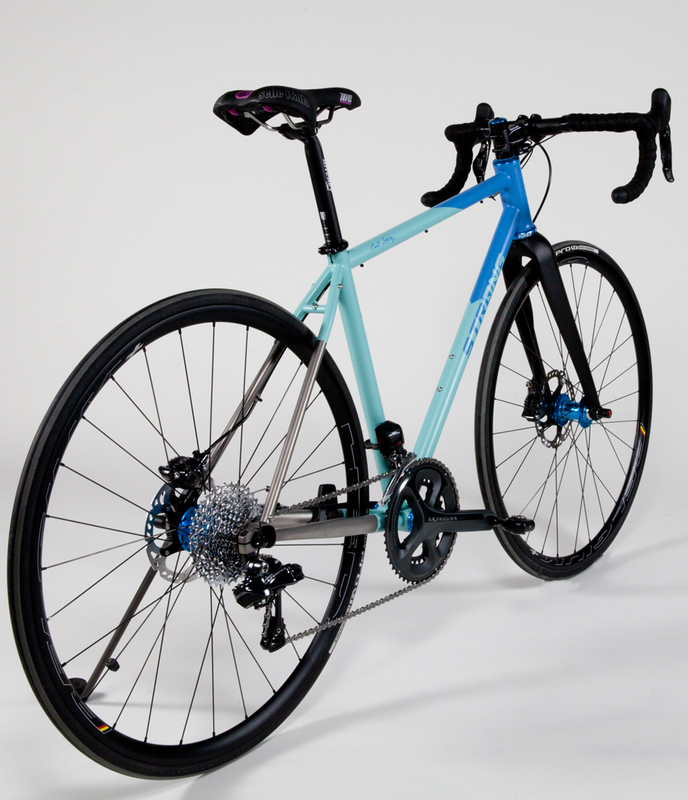 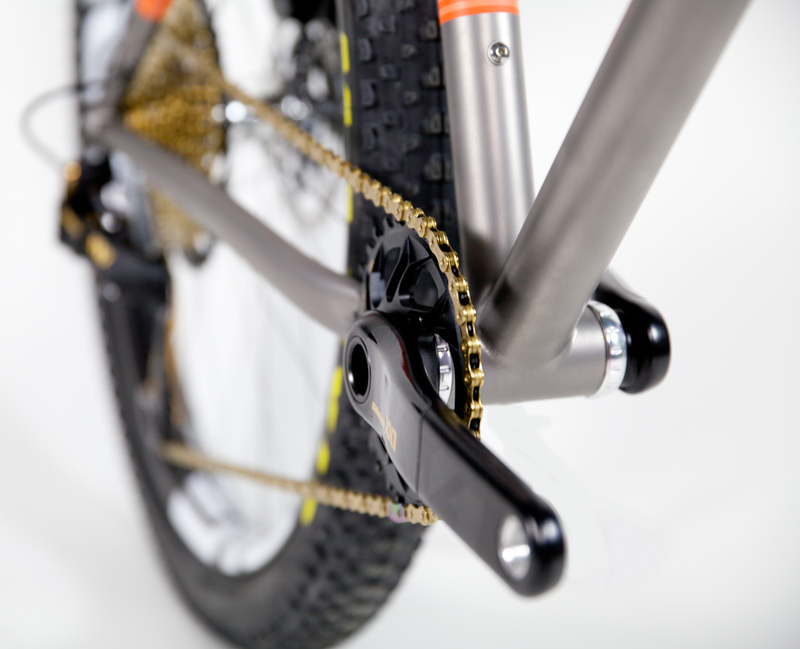 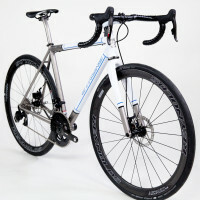 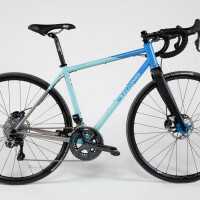 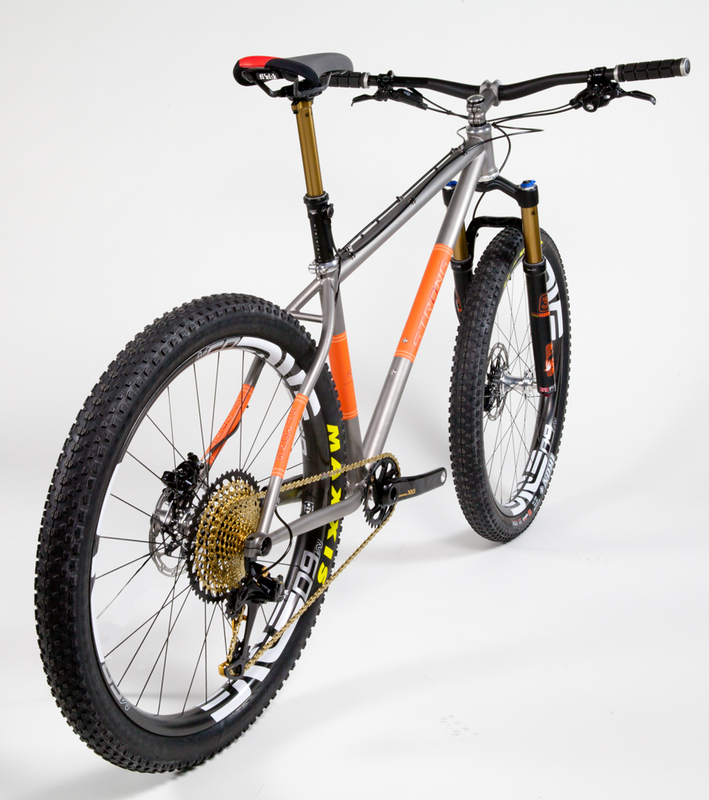 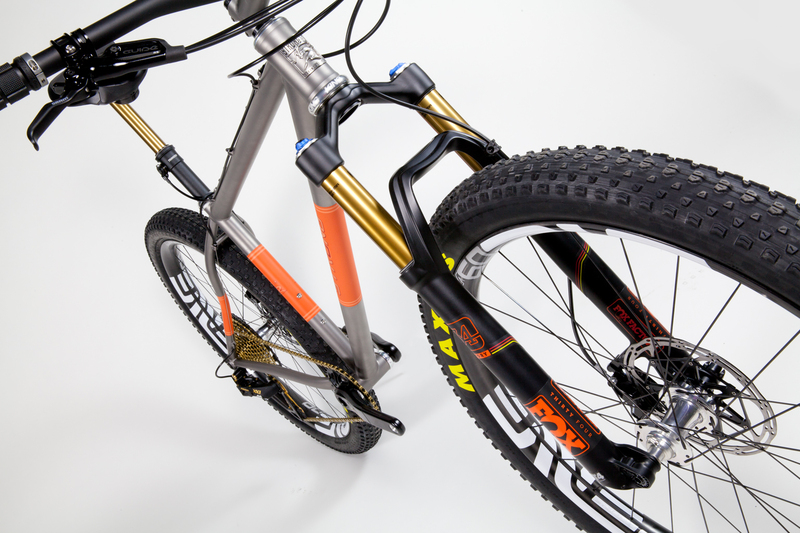 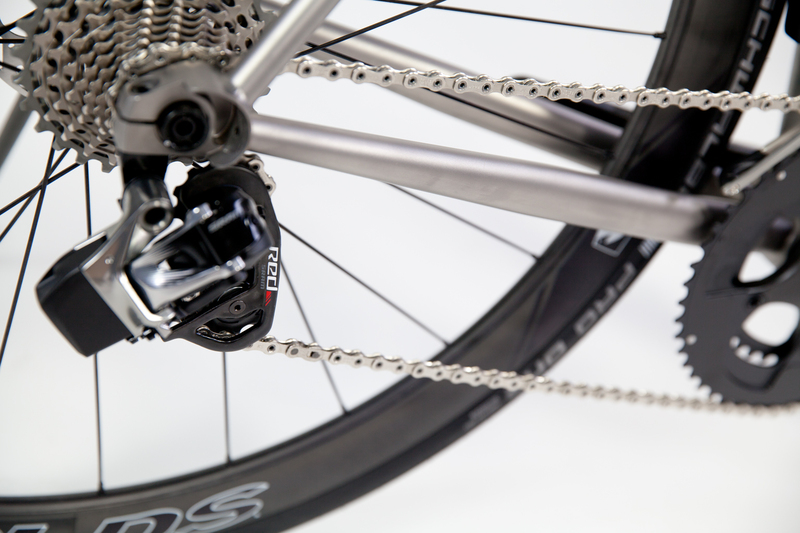 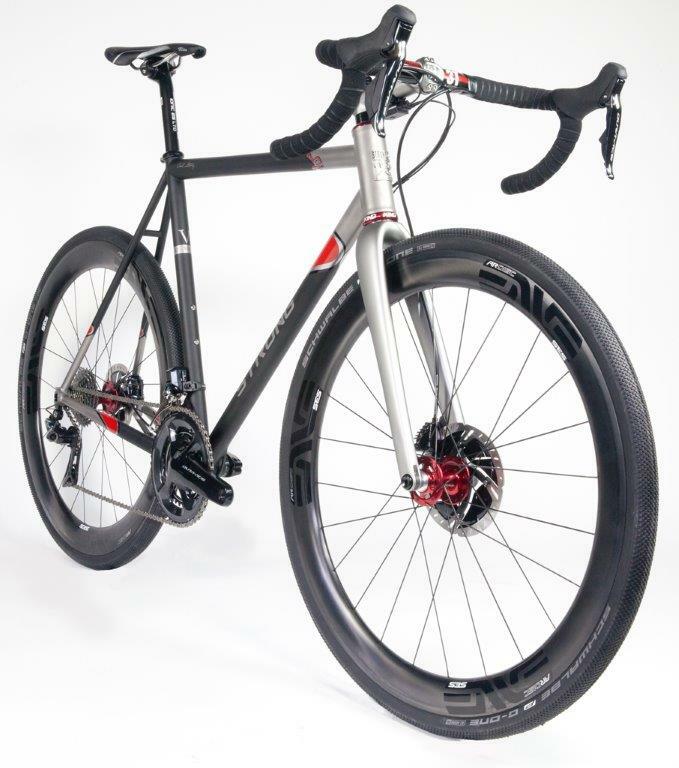 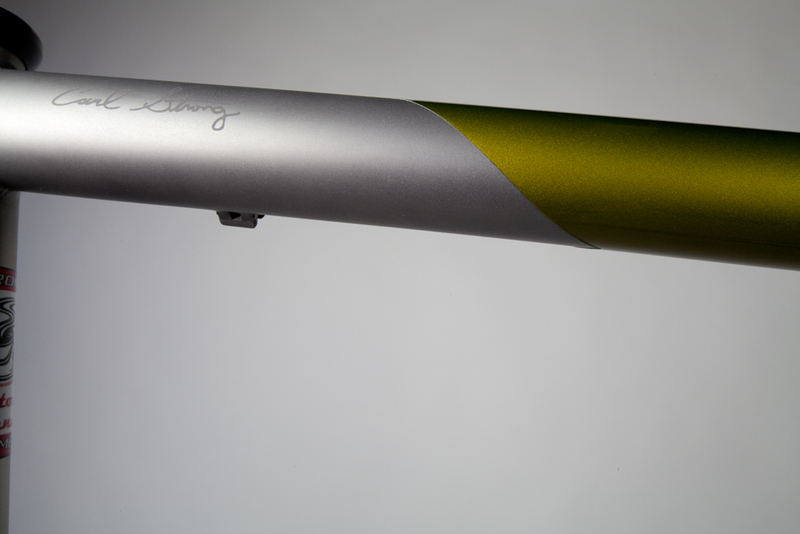 Paint and custom decal colors are available on titanium at an additional cost. 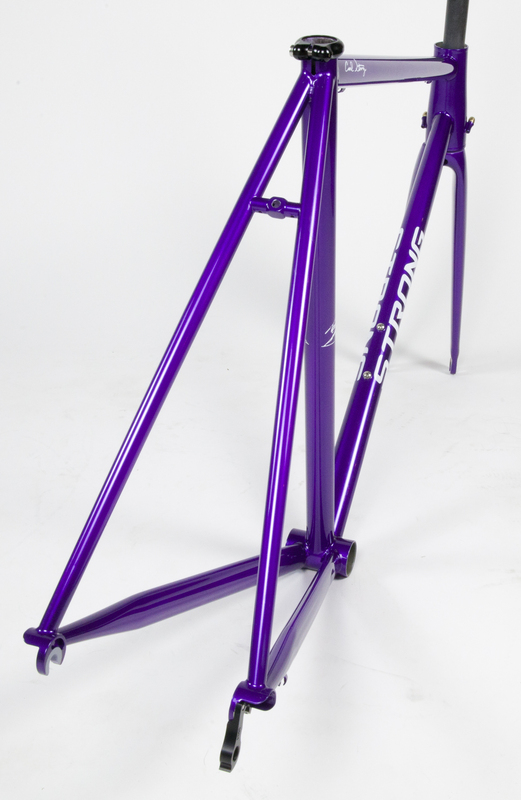 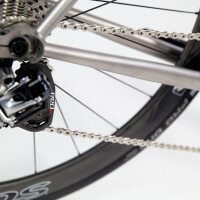 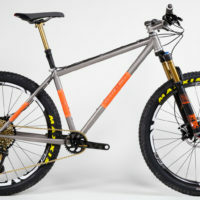 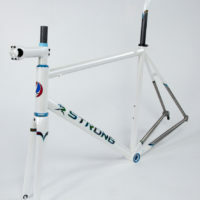 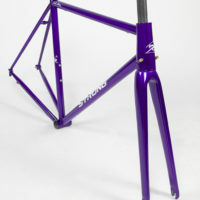 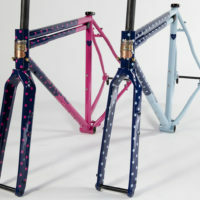 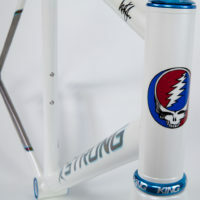 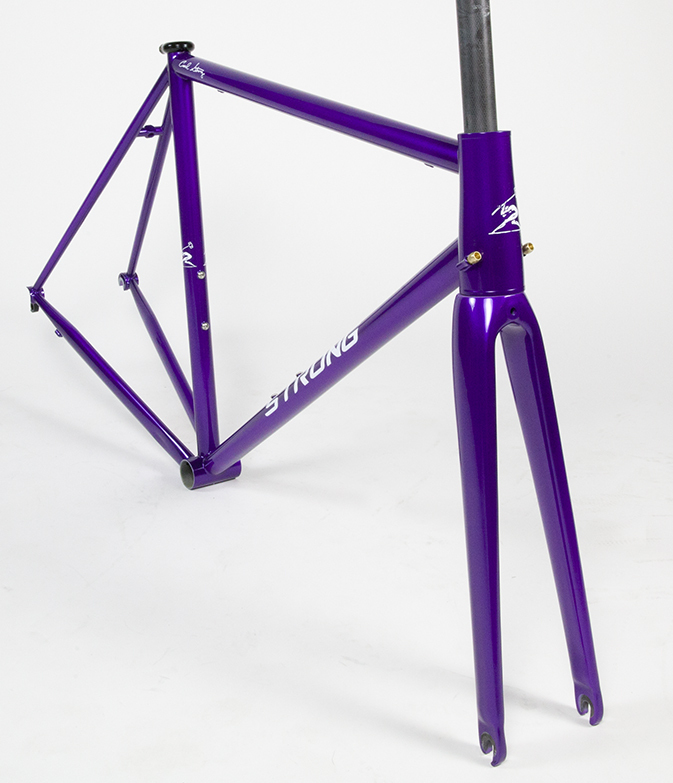 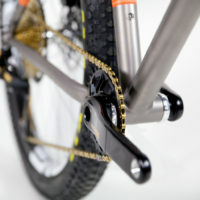 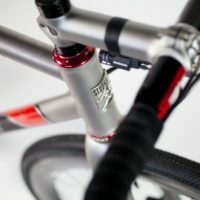 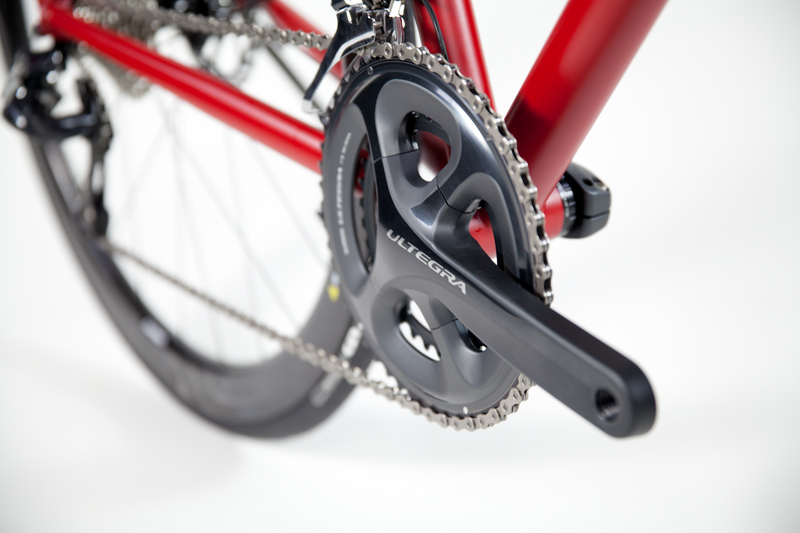 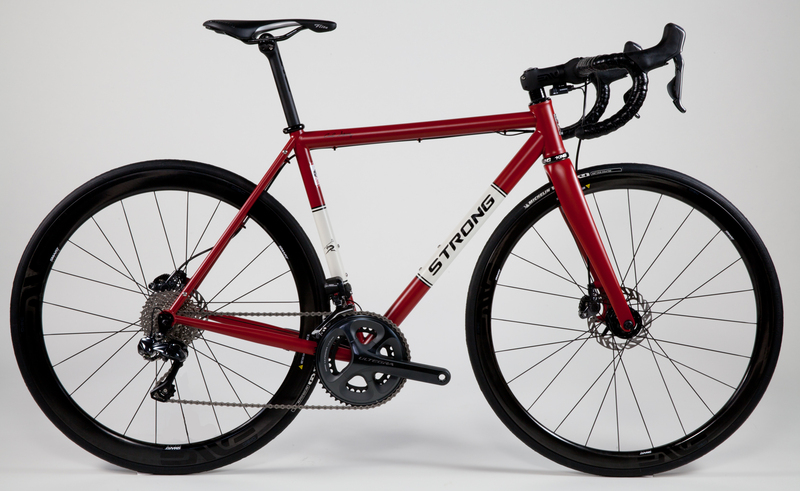 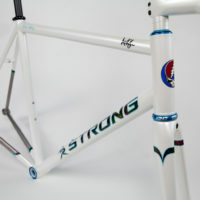 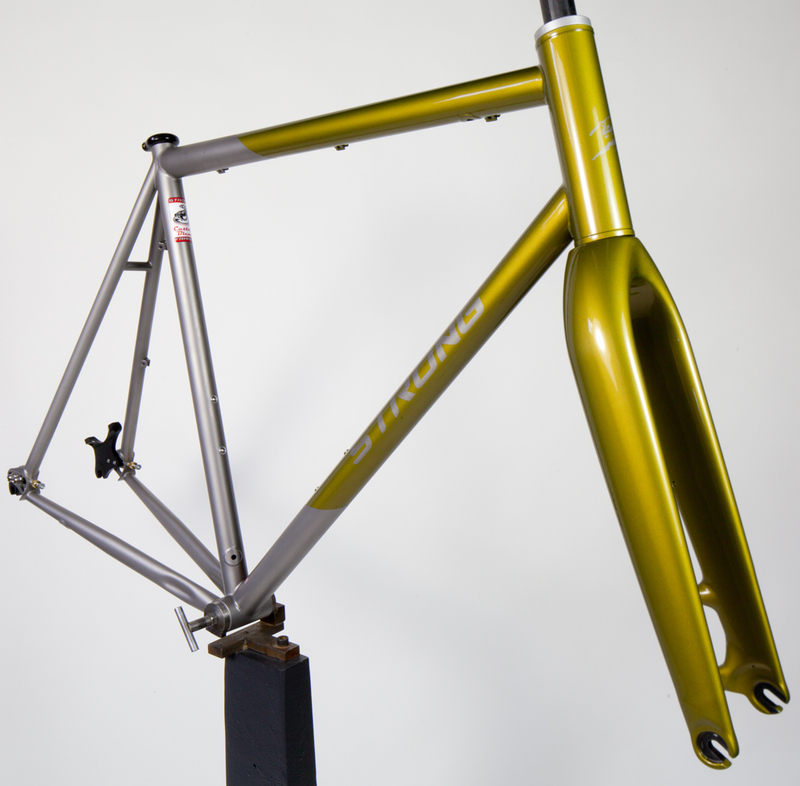 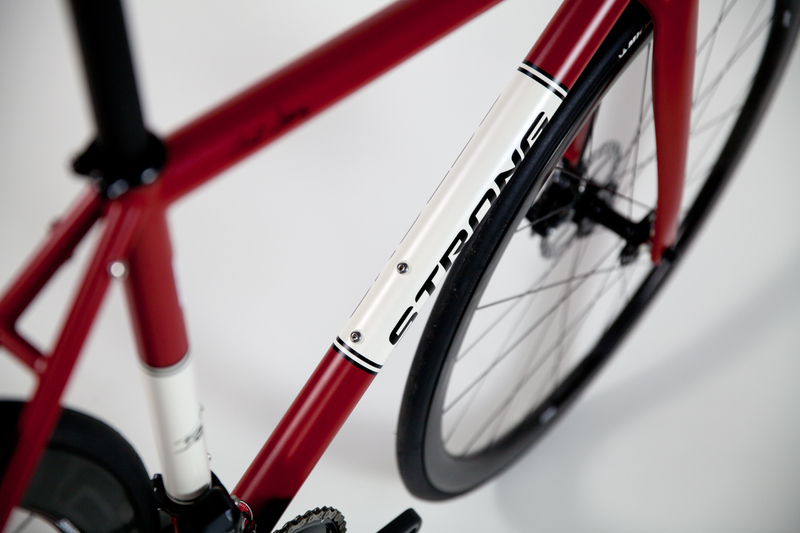 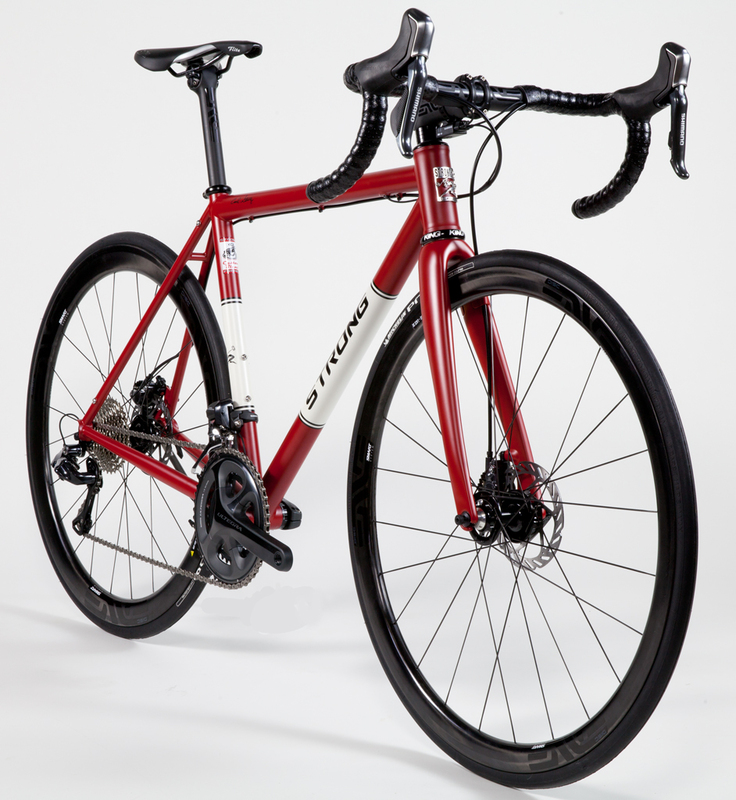 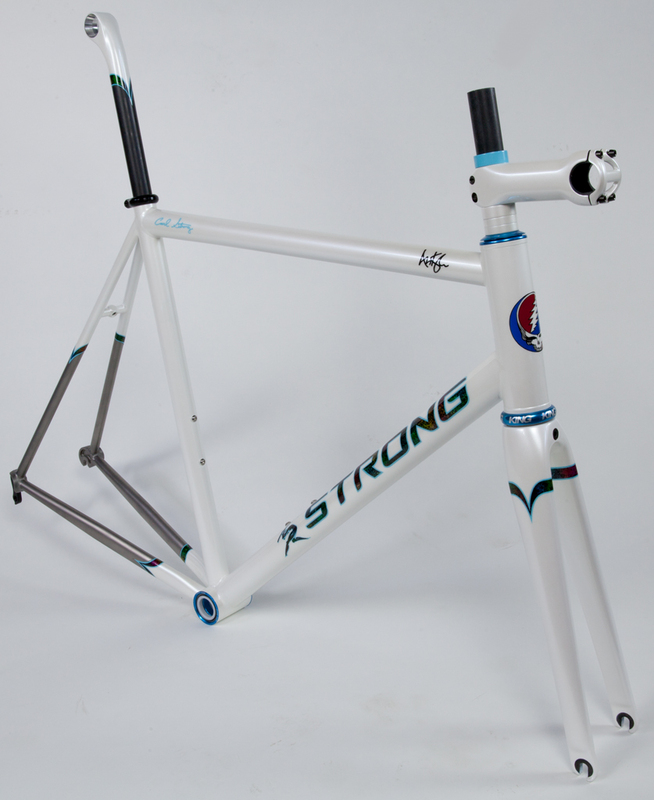 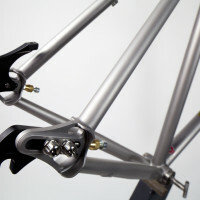 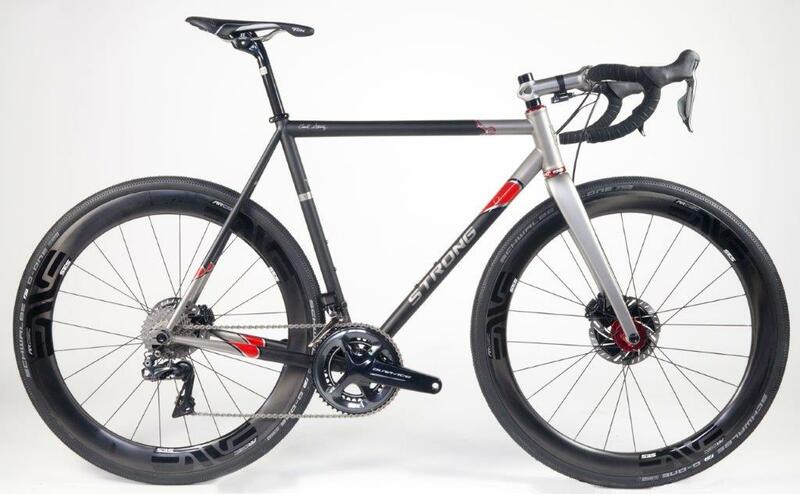 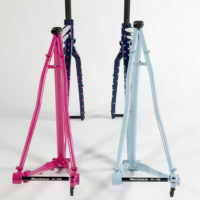 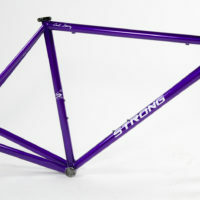 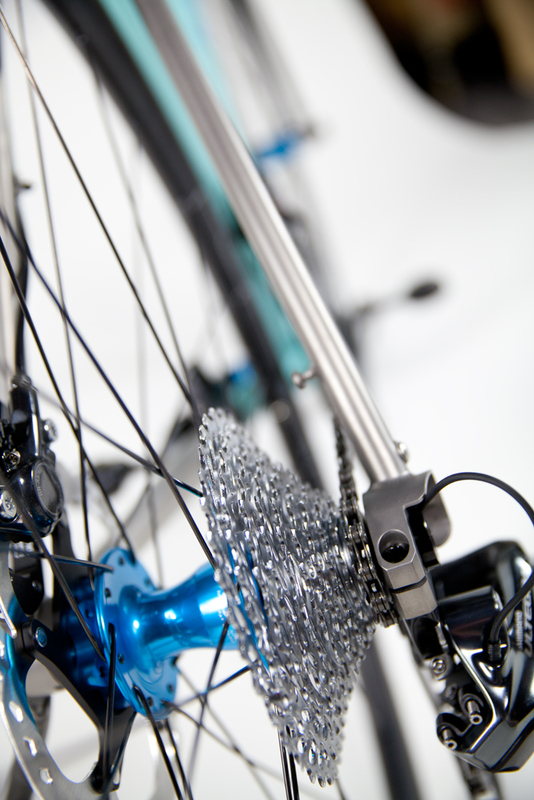 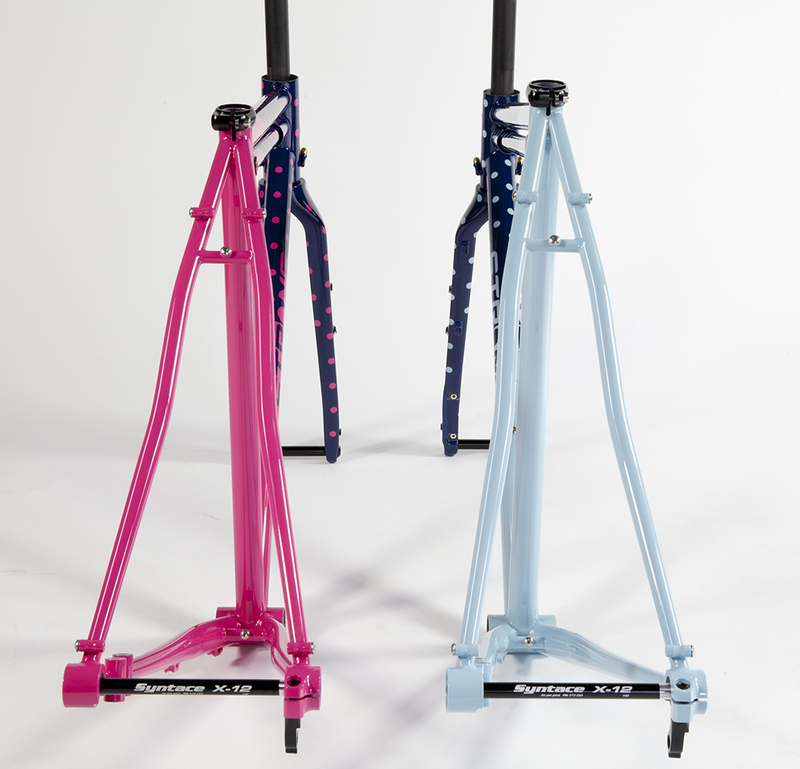 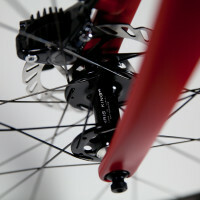 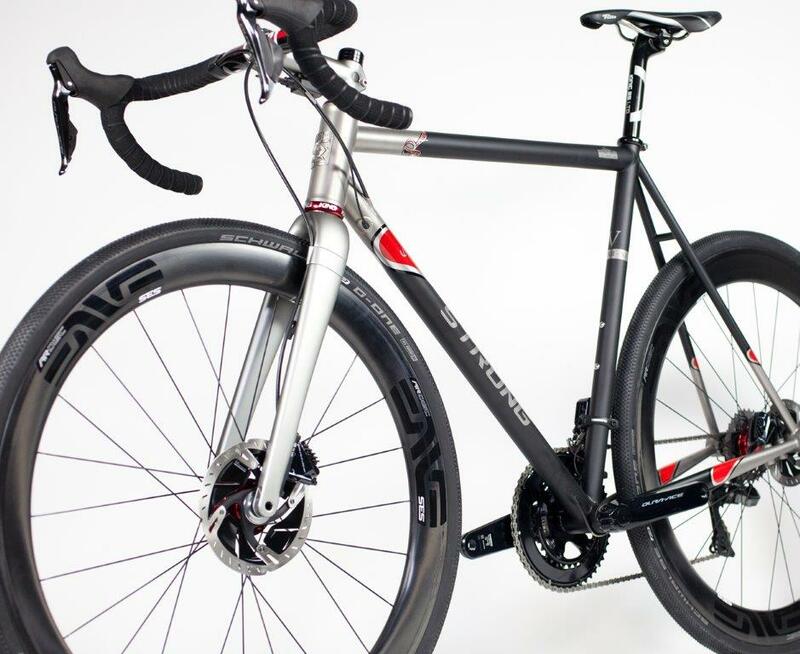 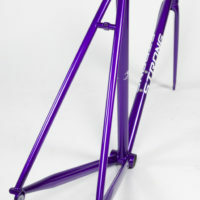 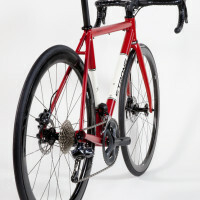 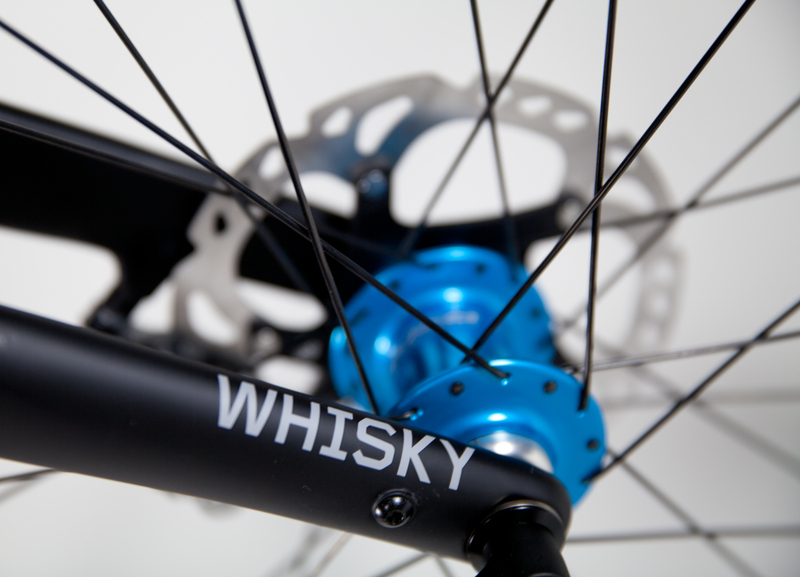 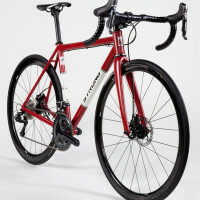 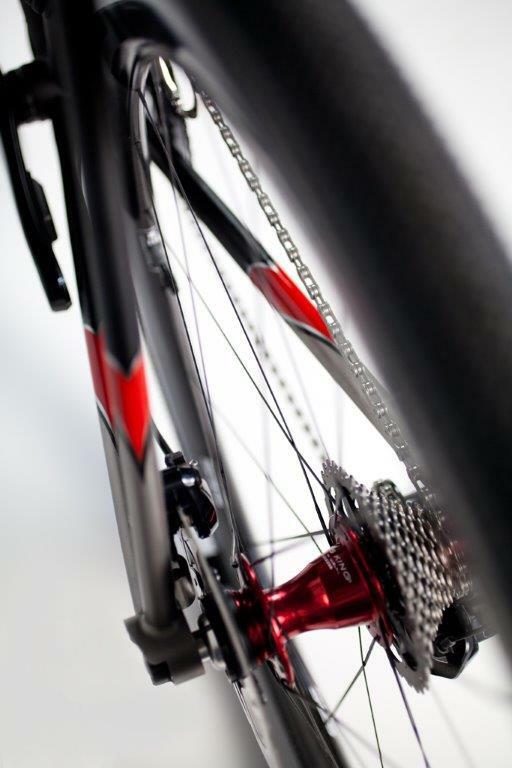 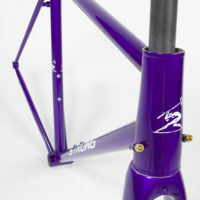 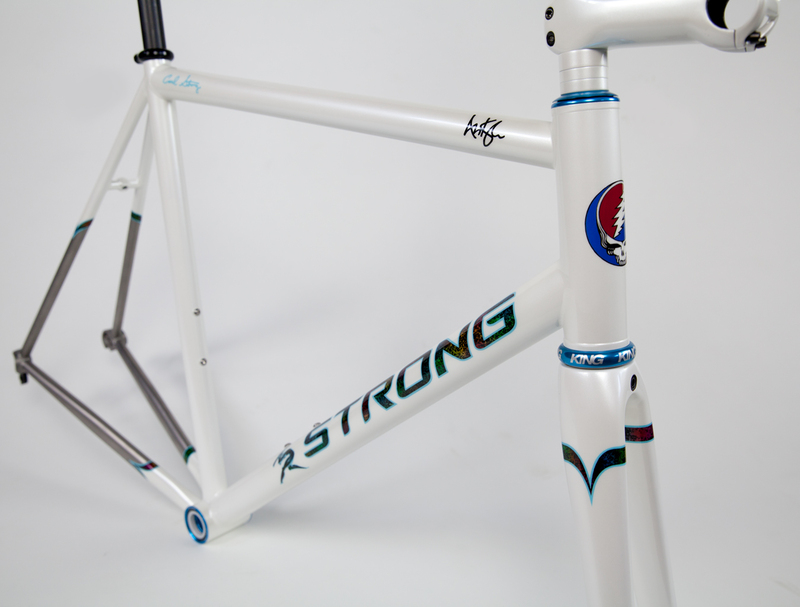 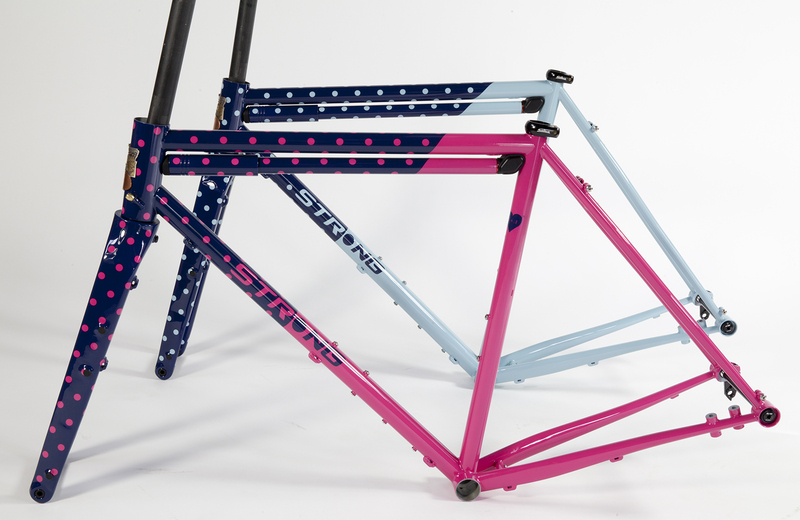 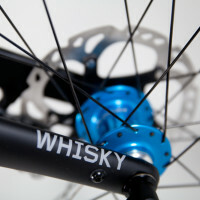 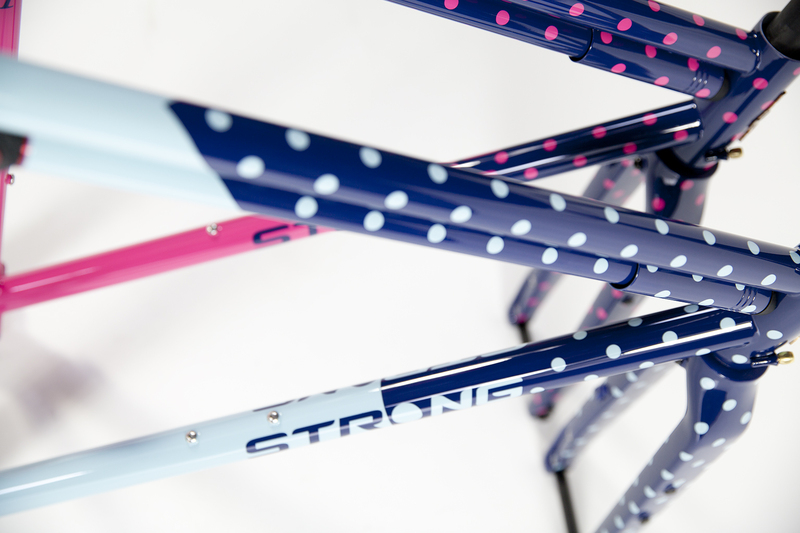 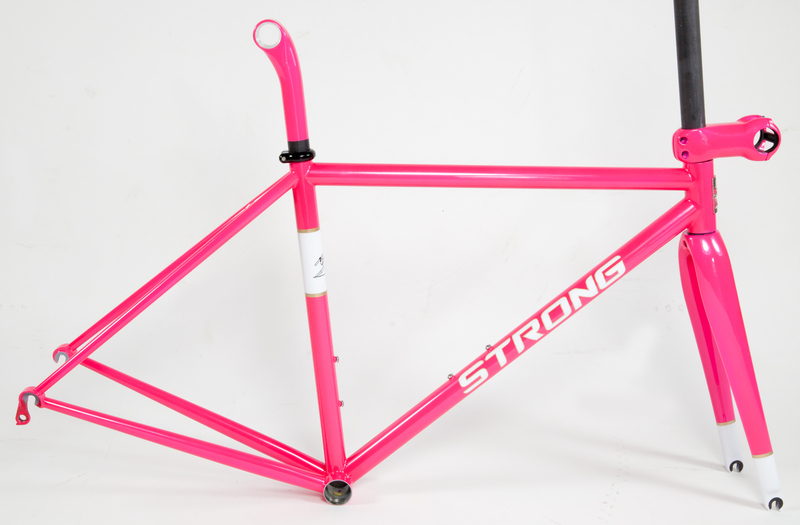 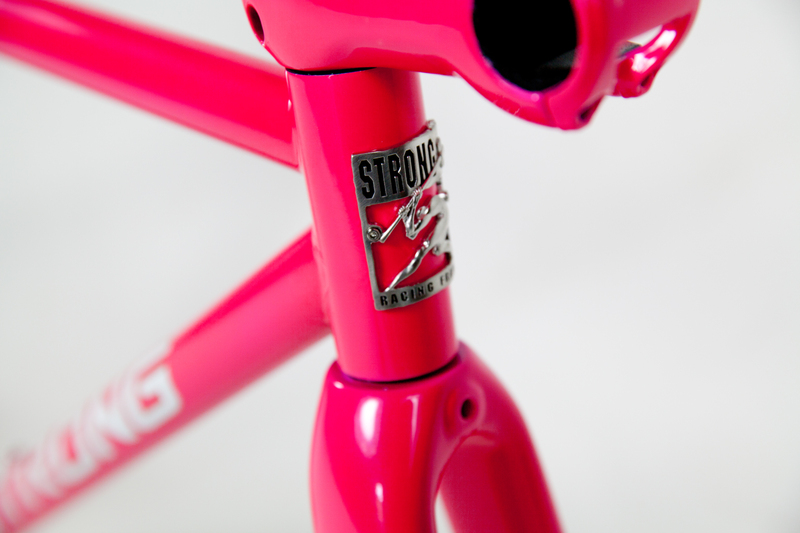 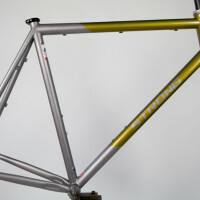 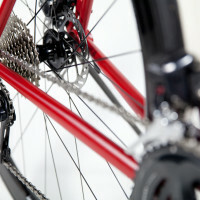 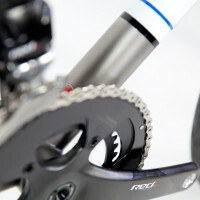 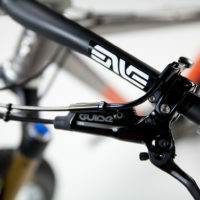 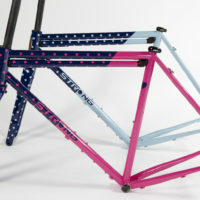 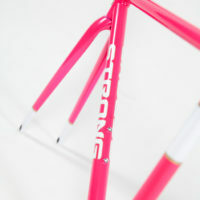 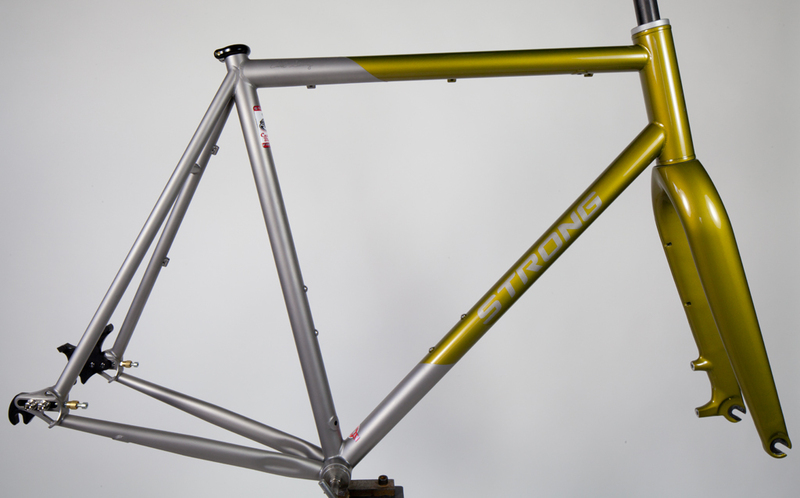 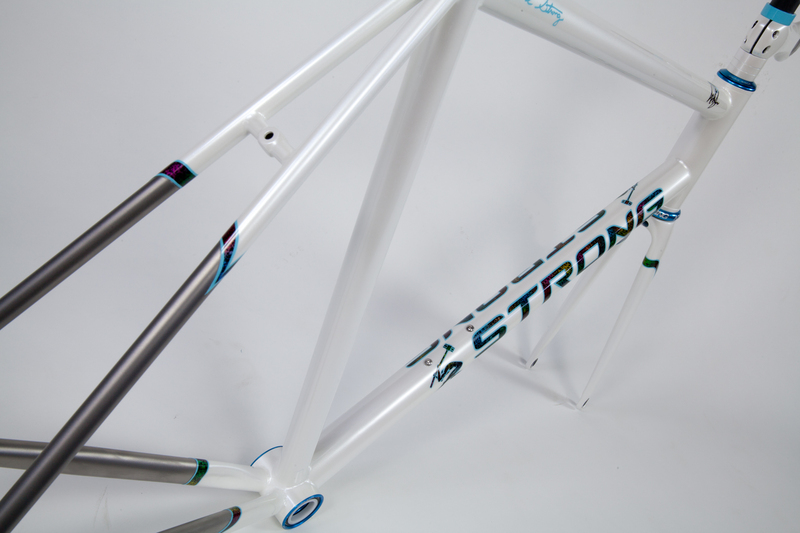 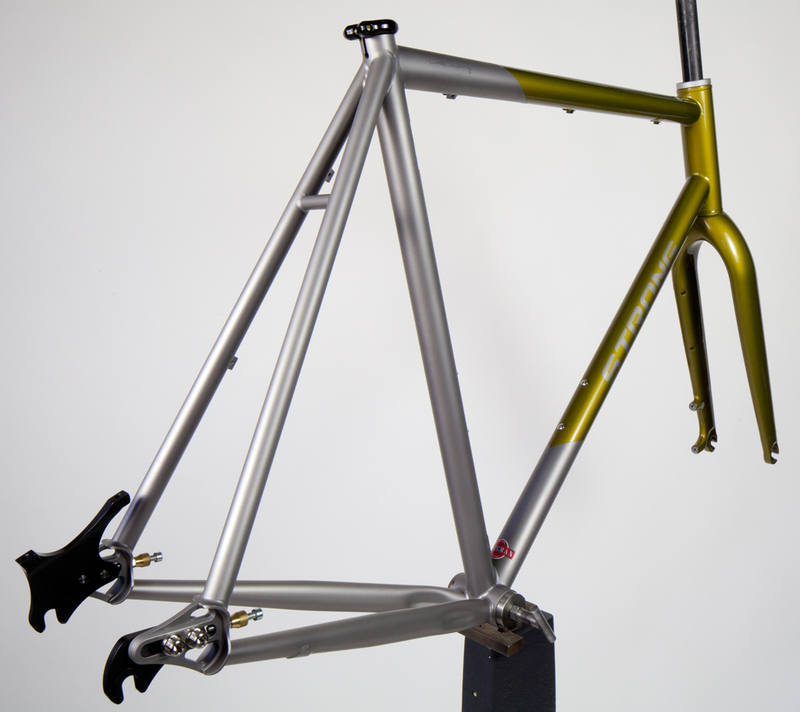 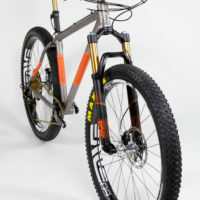 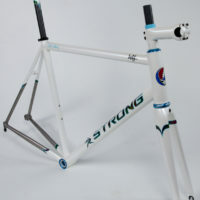 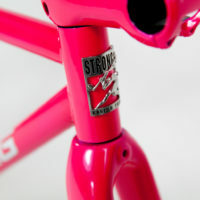 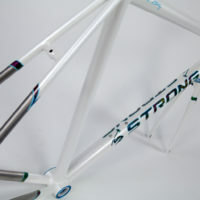 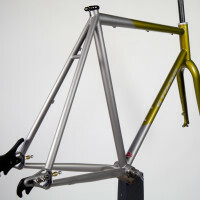 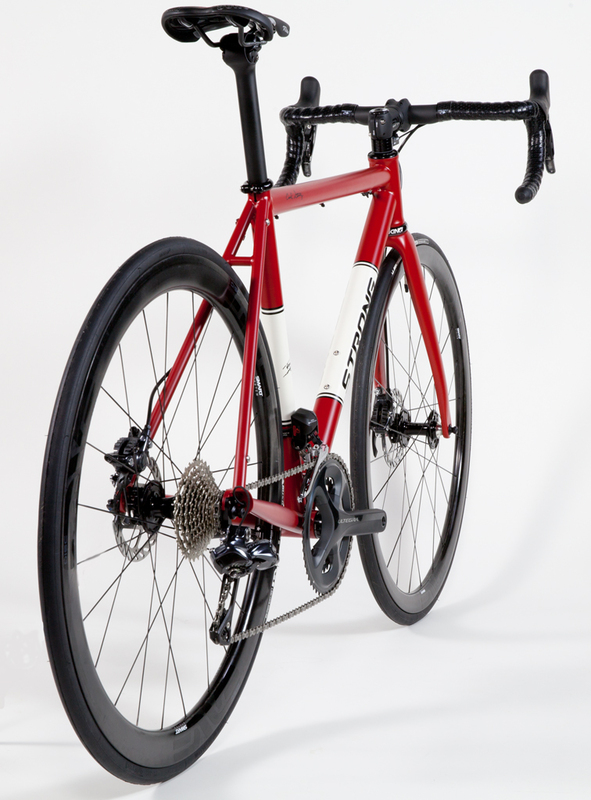 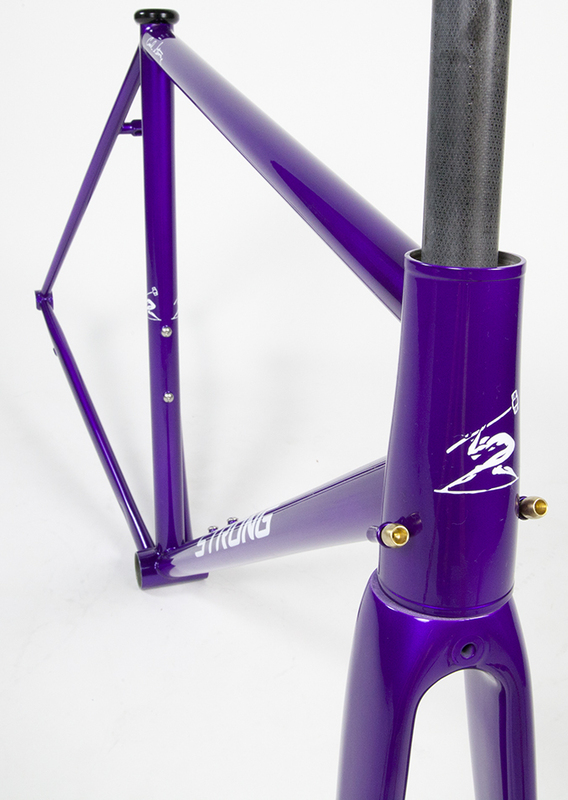 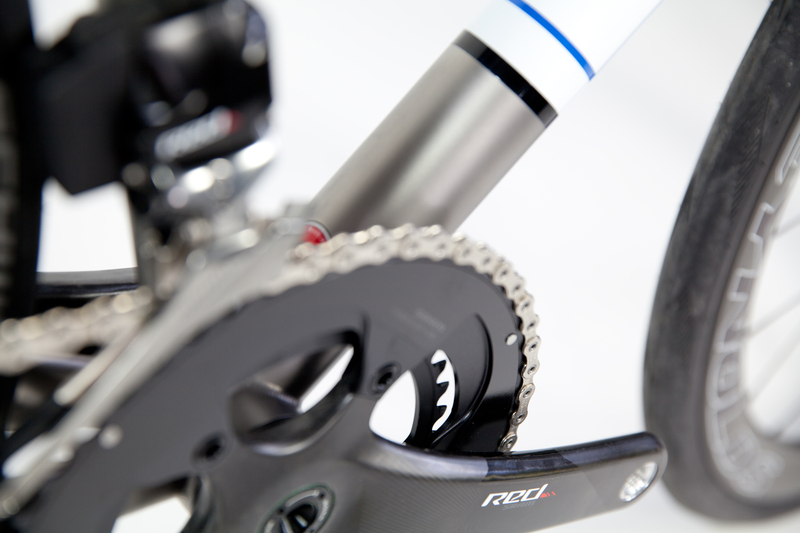 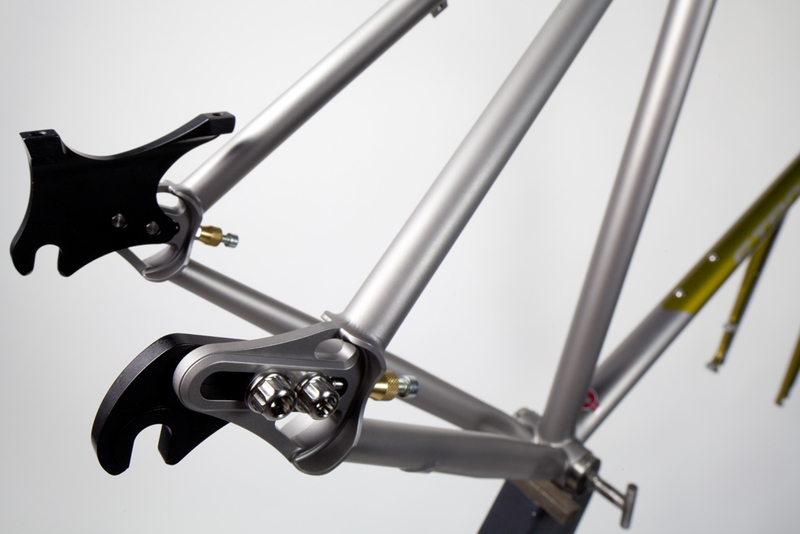 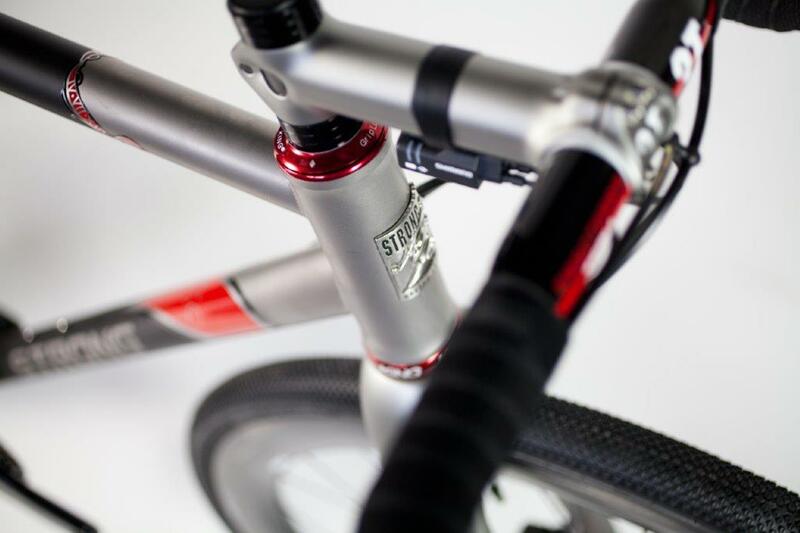 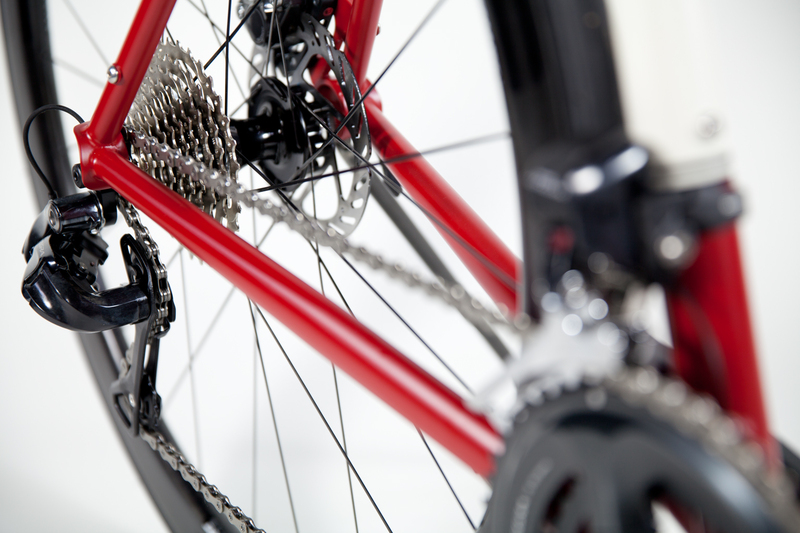 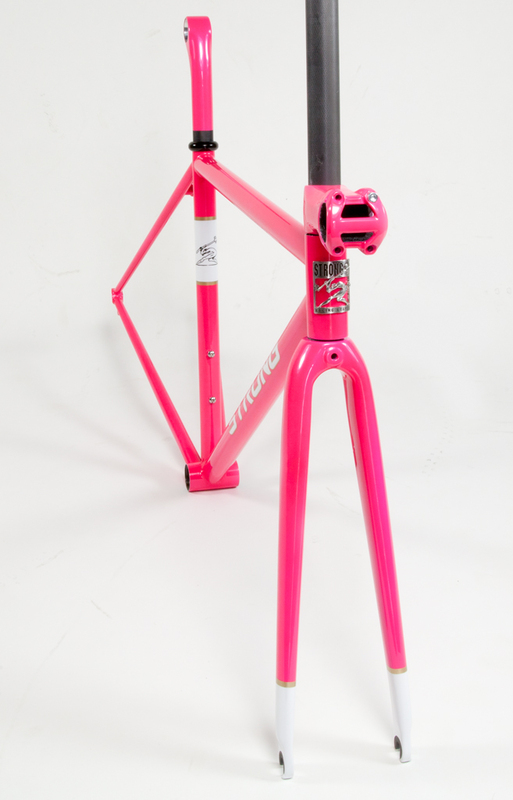 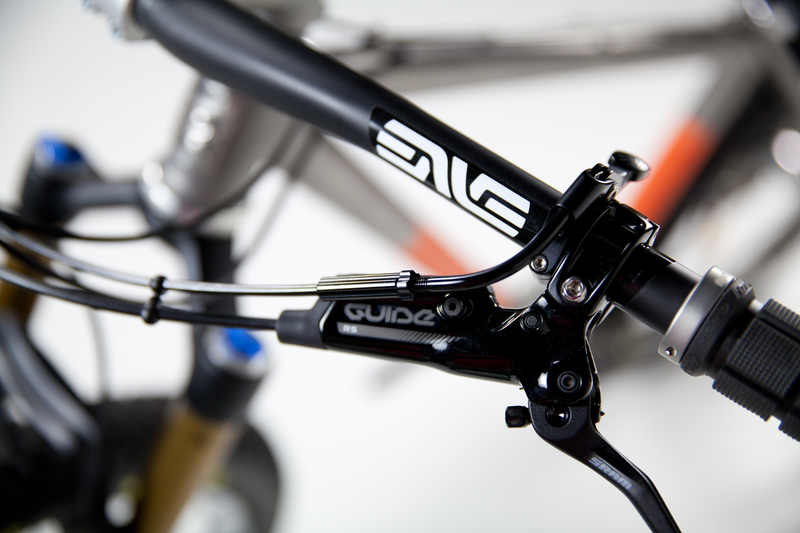 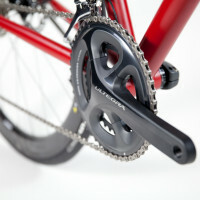 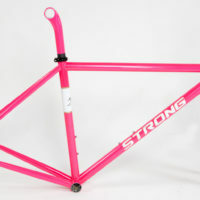 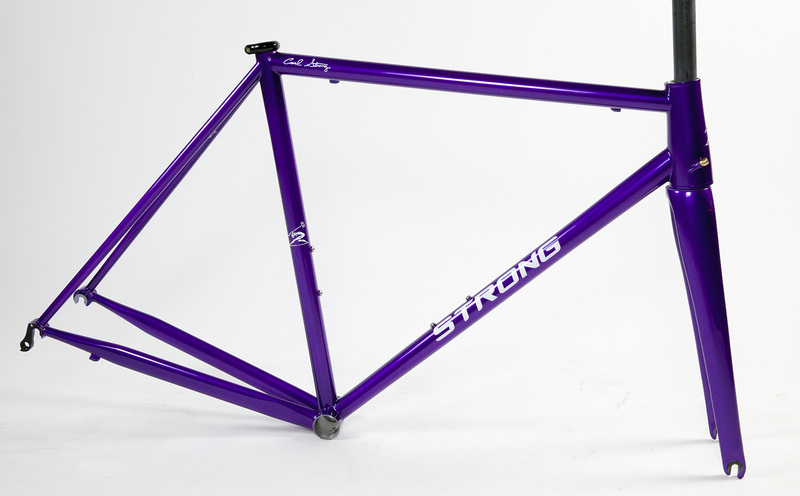 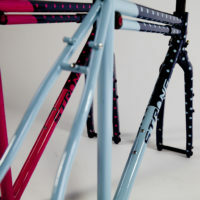 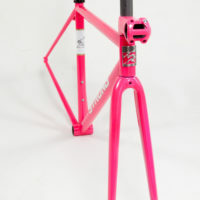 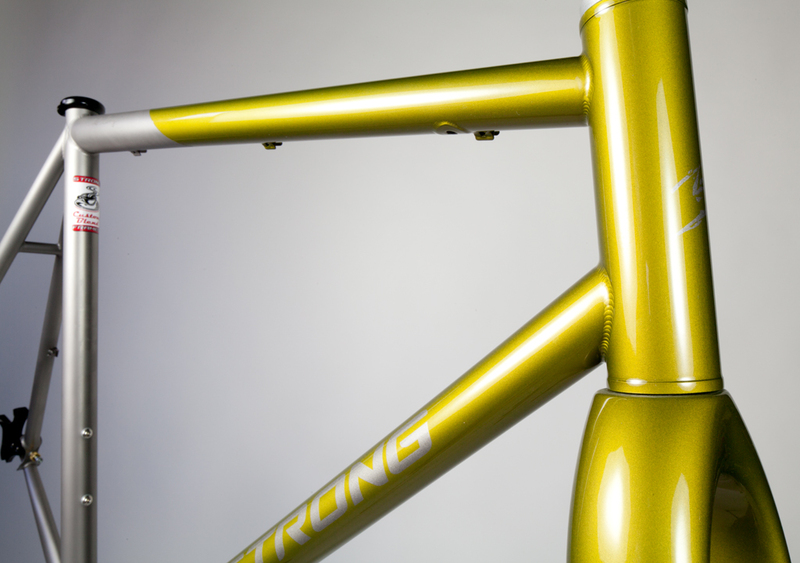 Steel- All steel frames include a one color paint, white or black decal set with clear top coat. 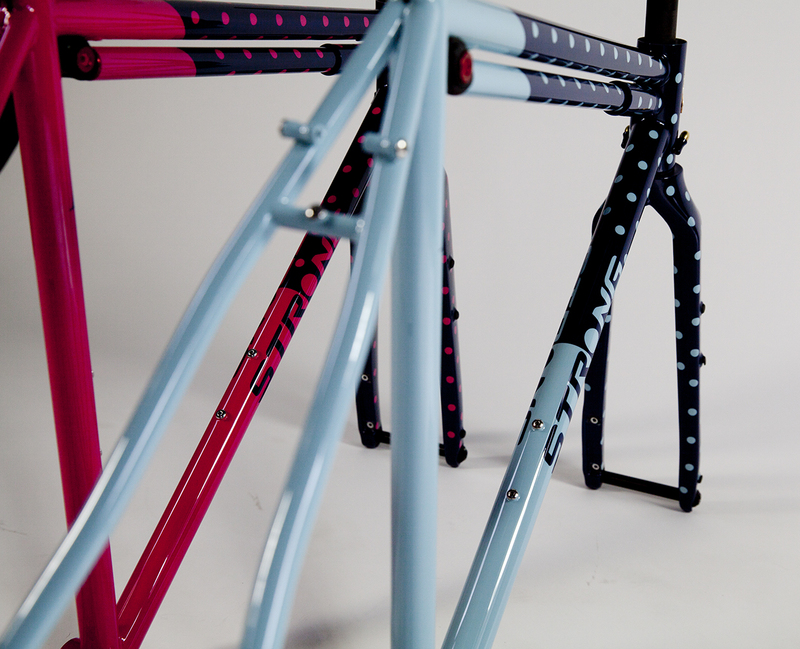 Color choice is nearly unlimited. 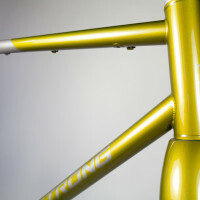 Custom work is available, call for estimate. 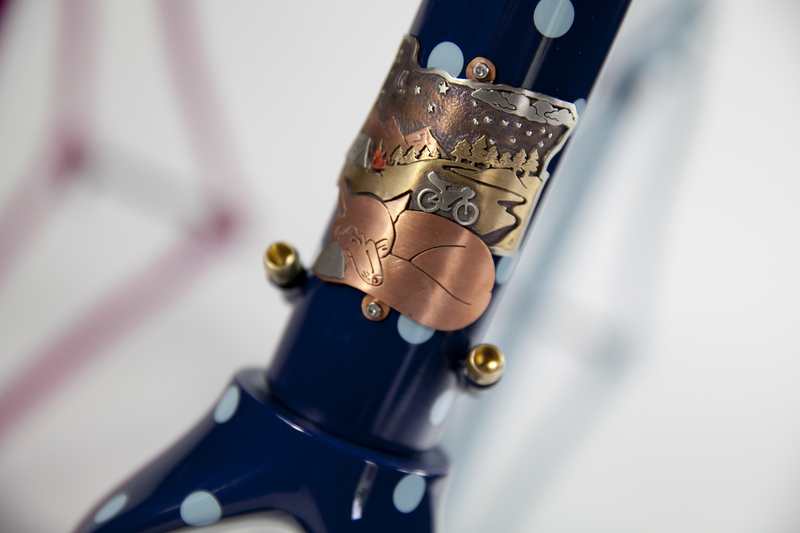 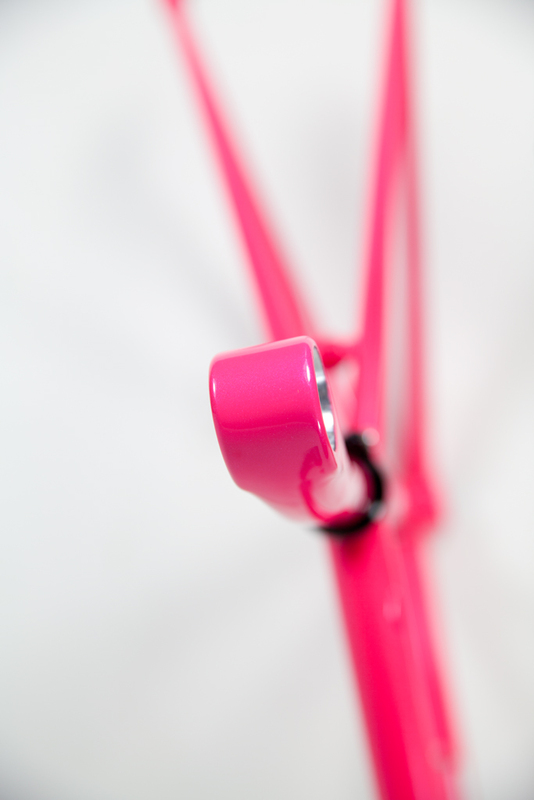 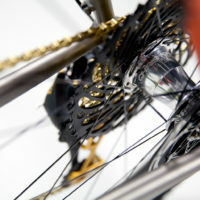 Our galleries are the perfect place to see what our customers have done when it comes to custom work. 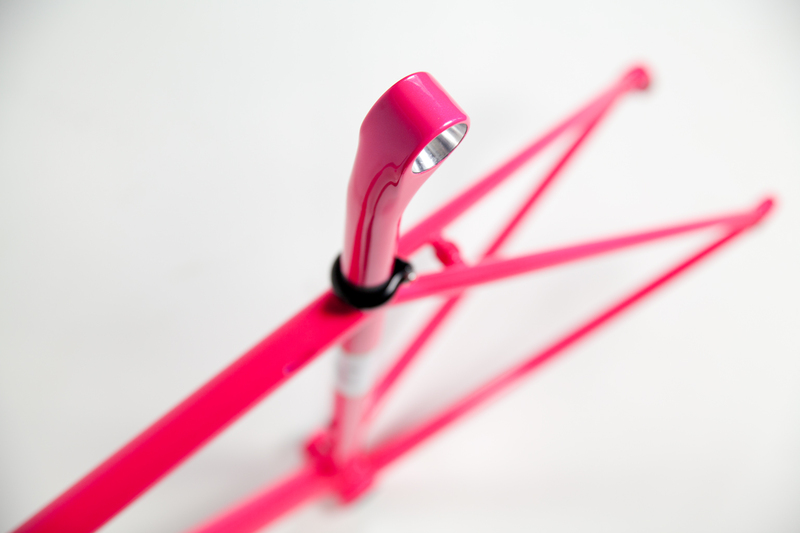 Depending on the application, almost anything is possible. 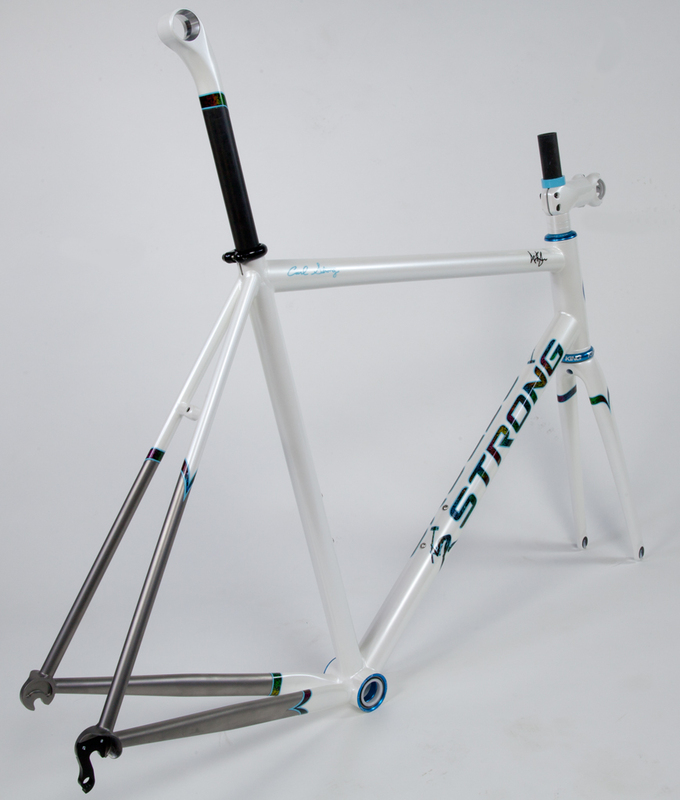 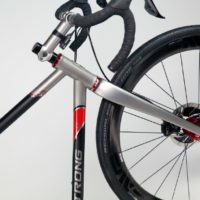 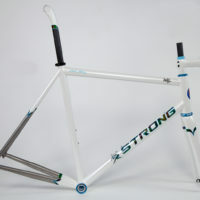 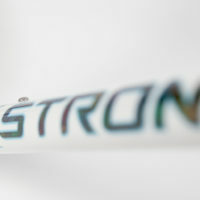 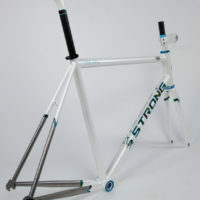 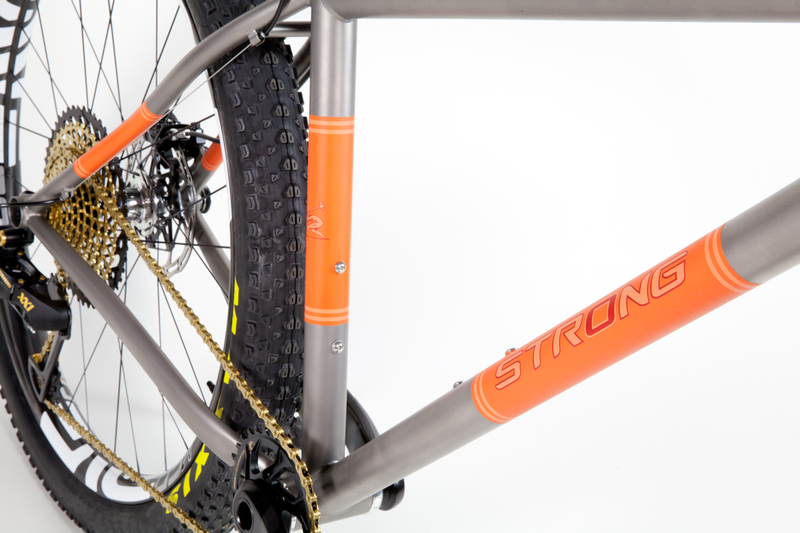 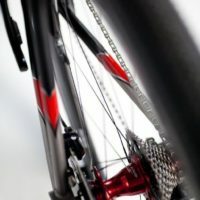 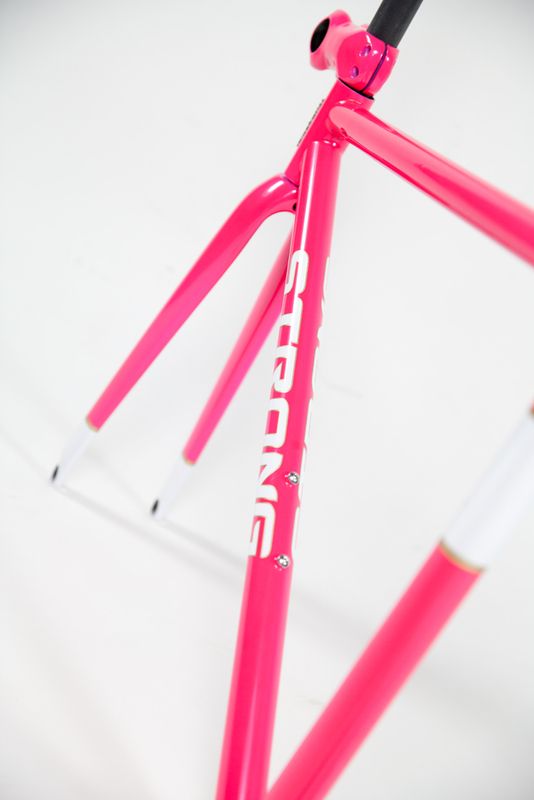 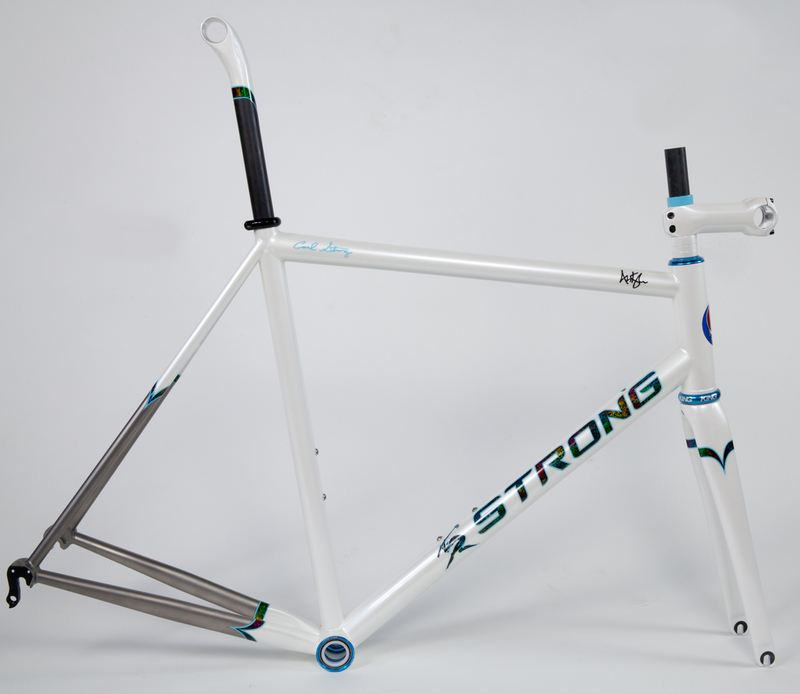 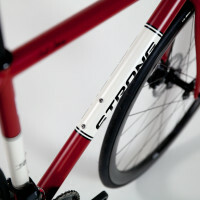 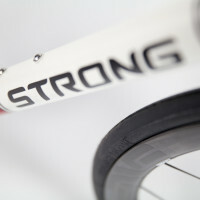 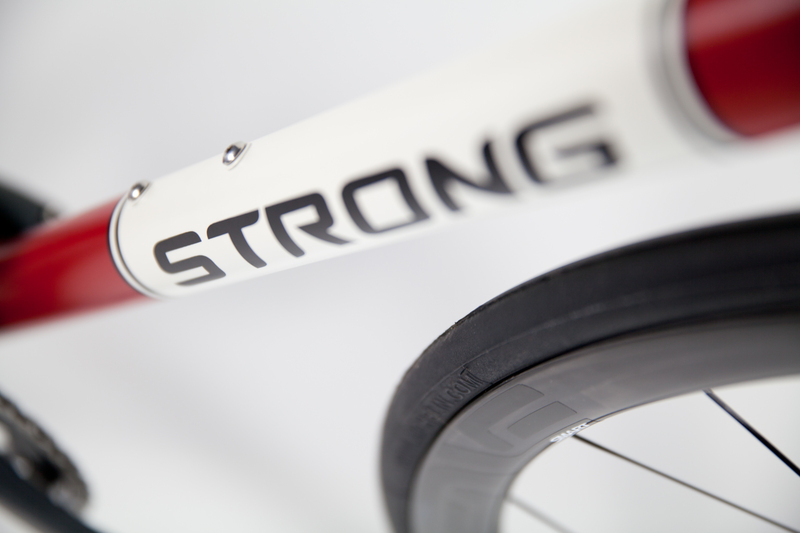 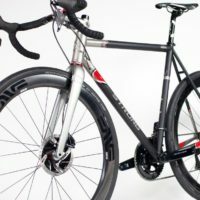 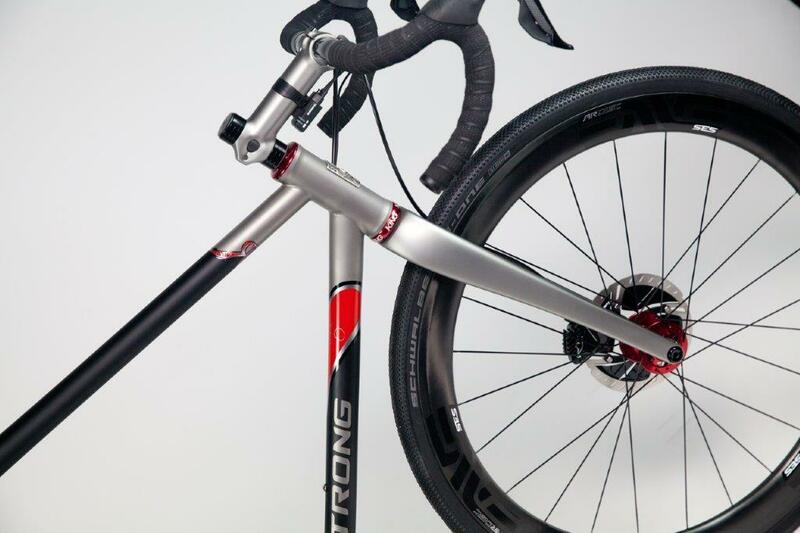 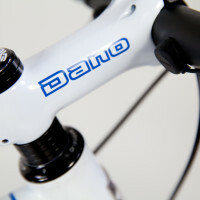 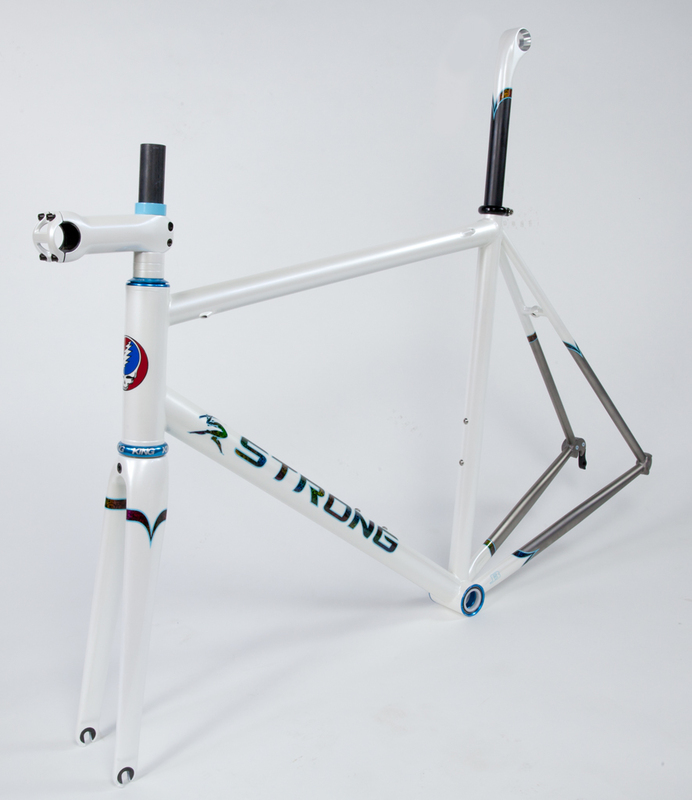 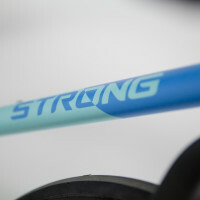 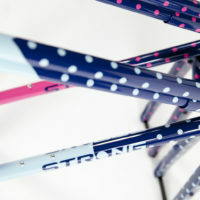 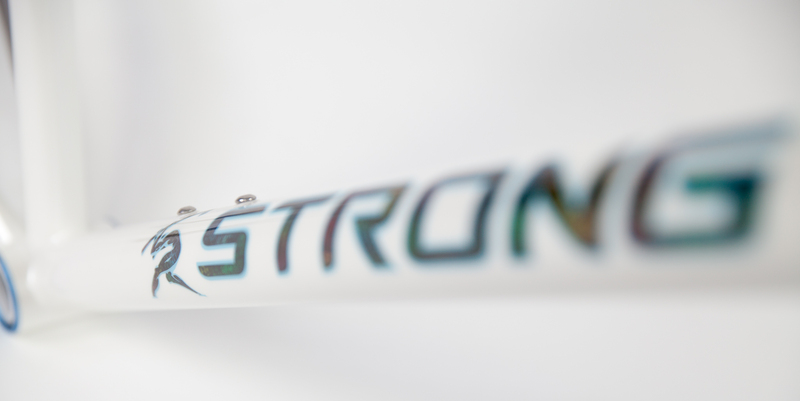 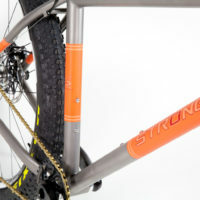 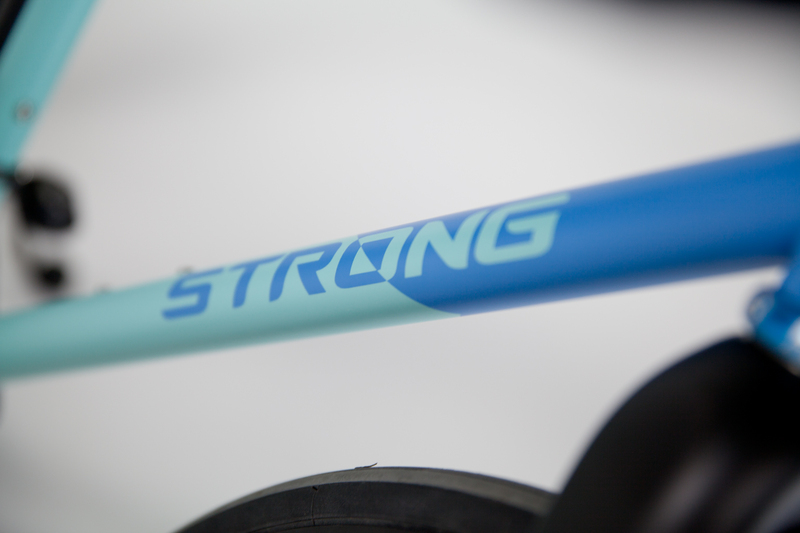 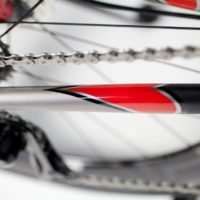 “STRONG” on the downtube in white or black. 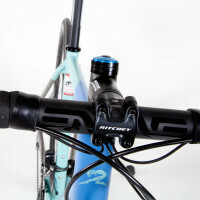 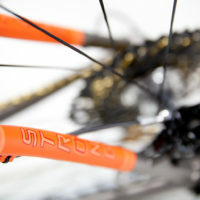 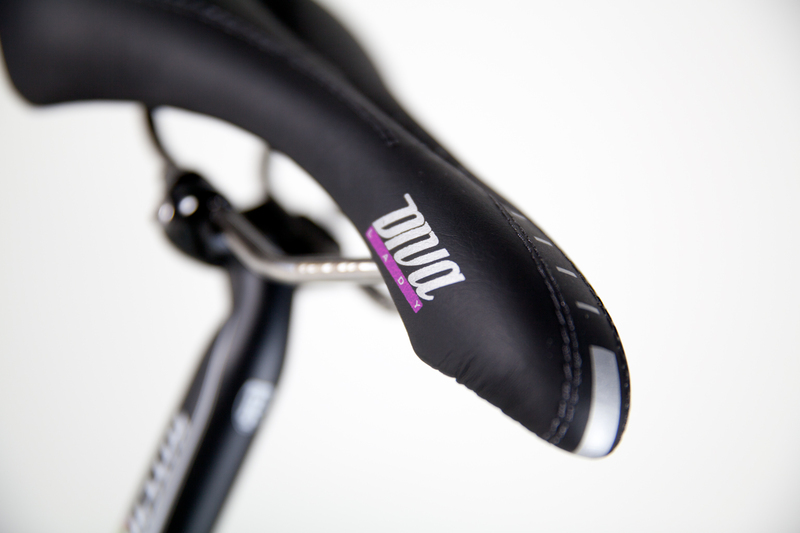 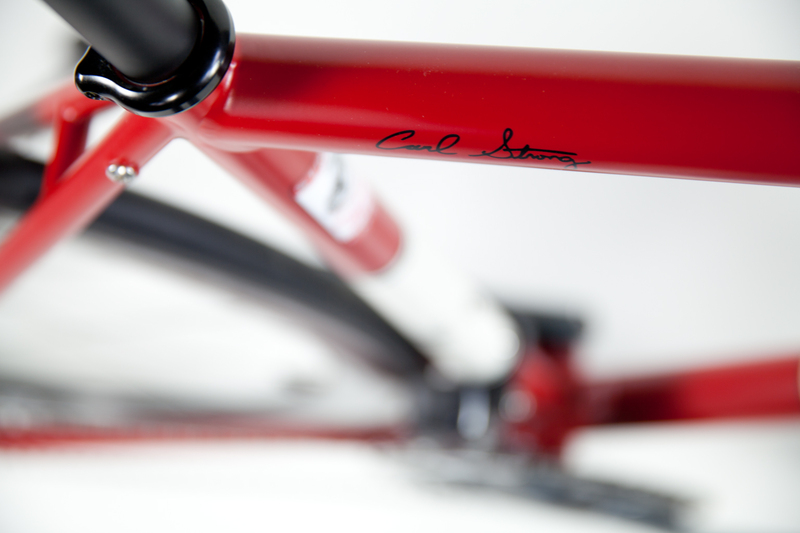 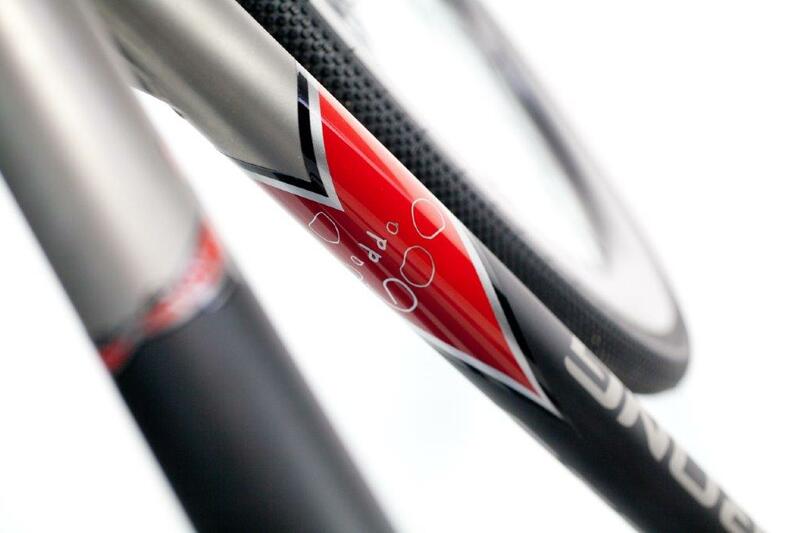 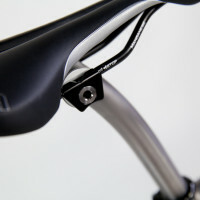 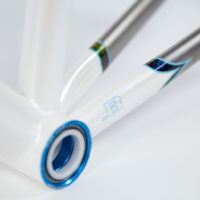 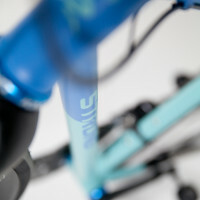 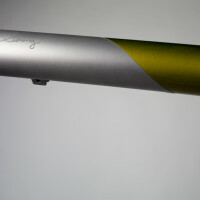 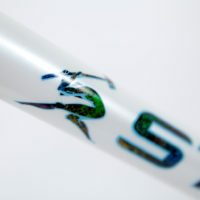 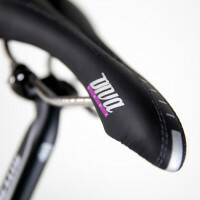 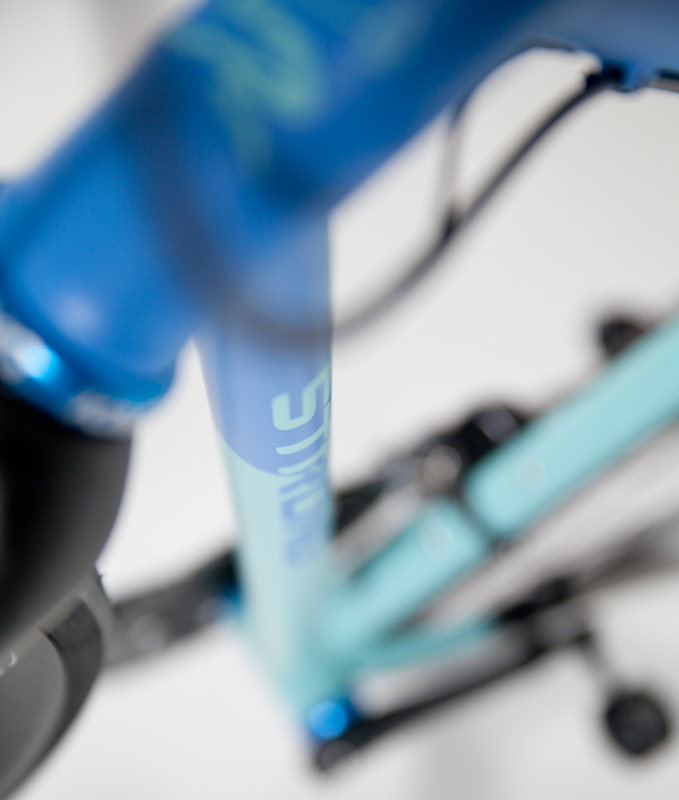 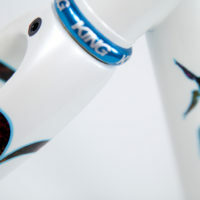 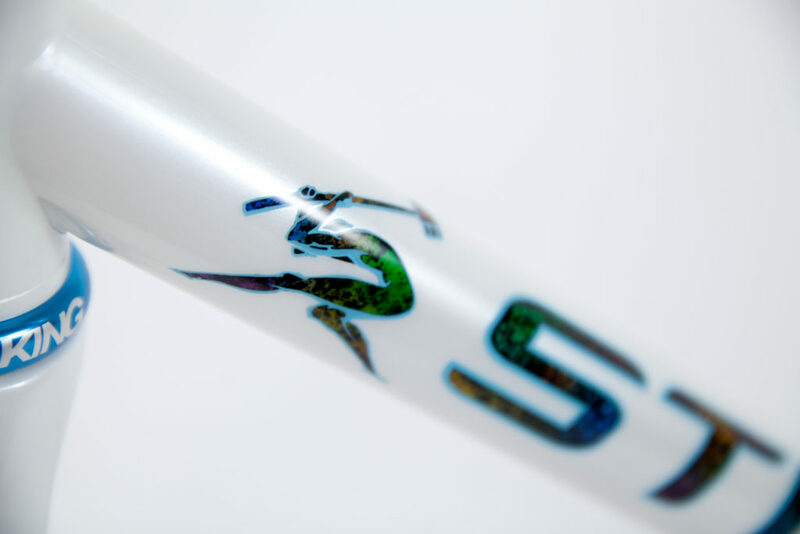 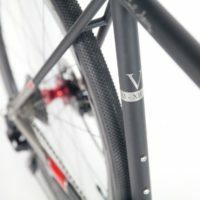 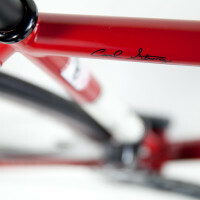 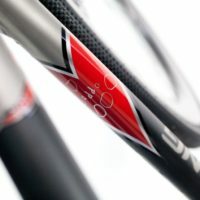 My signature on the rear driveside of the toptube in white or black. 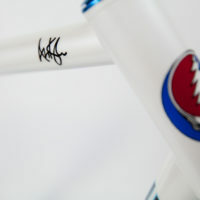 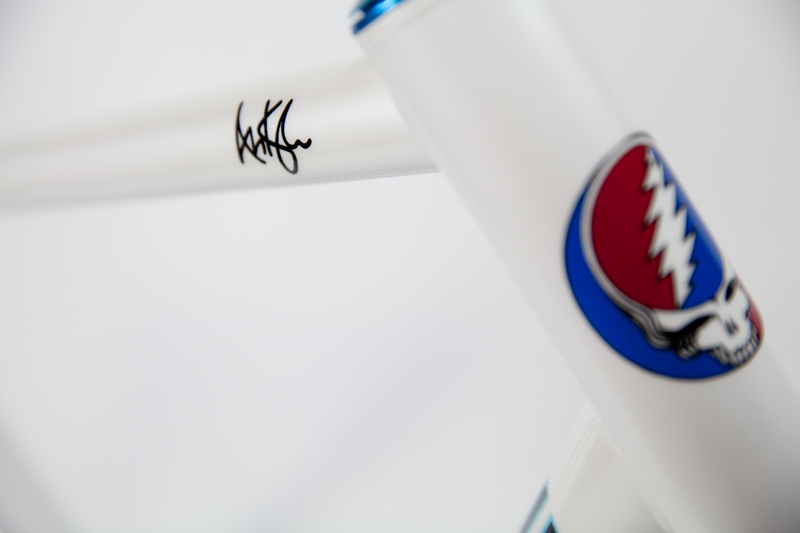 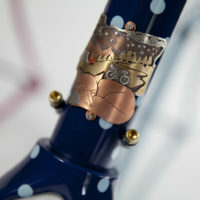 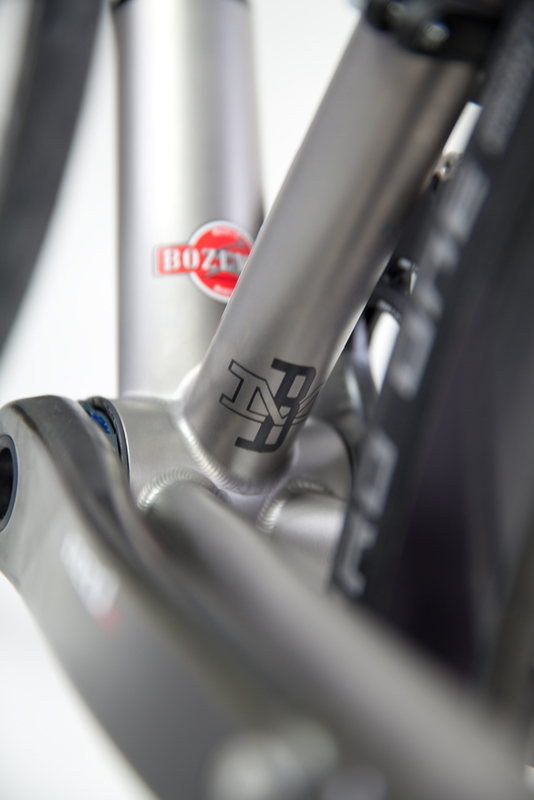 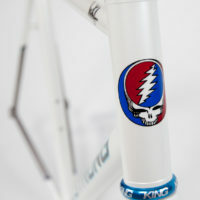 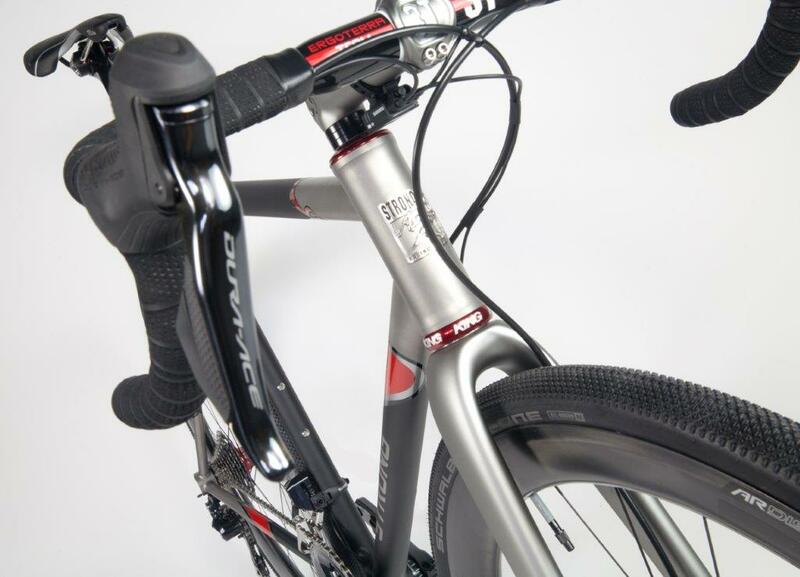 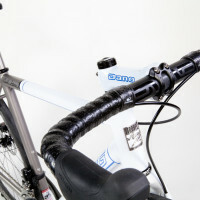 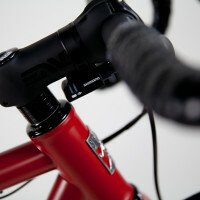 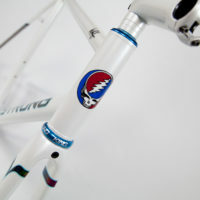 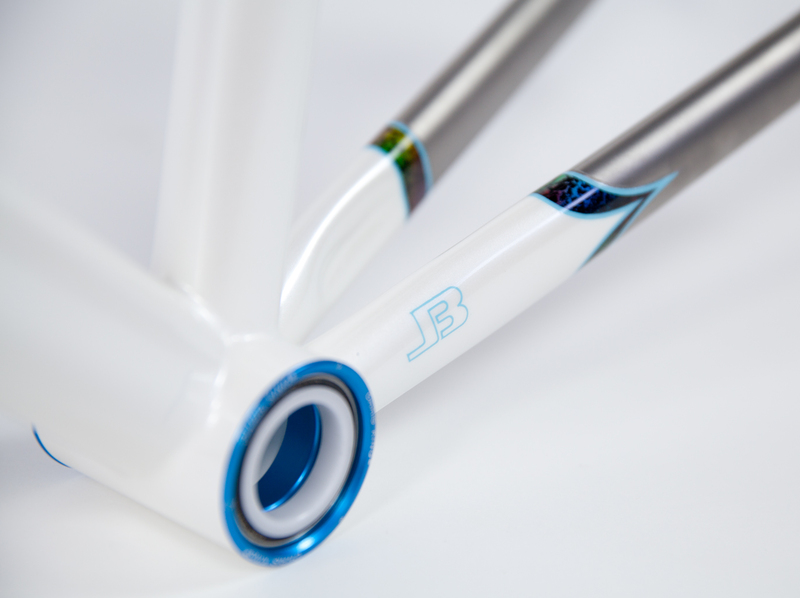 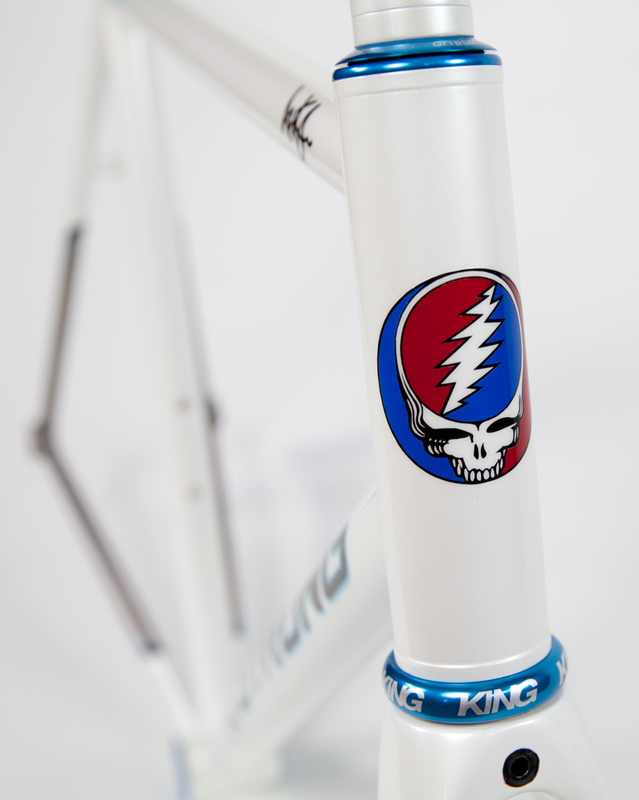 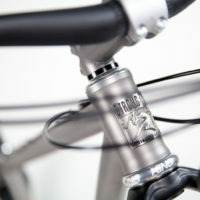 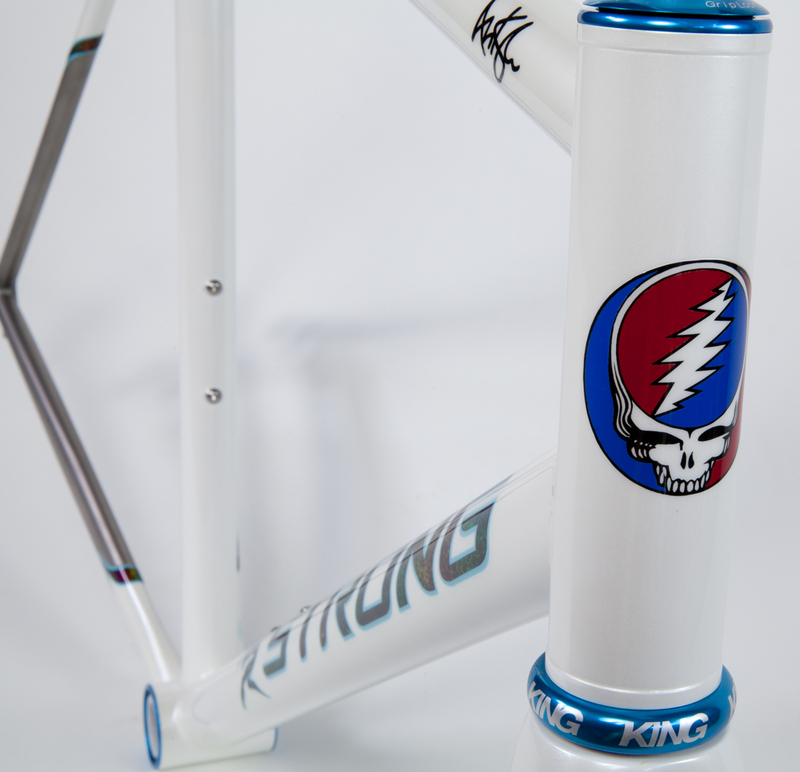 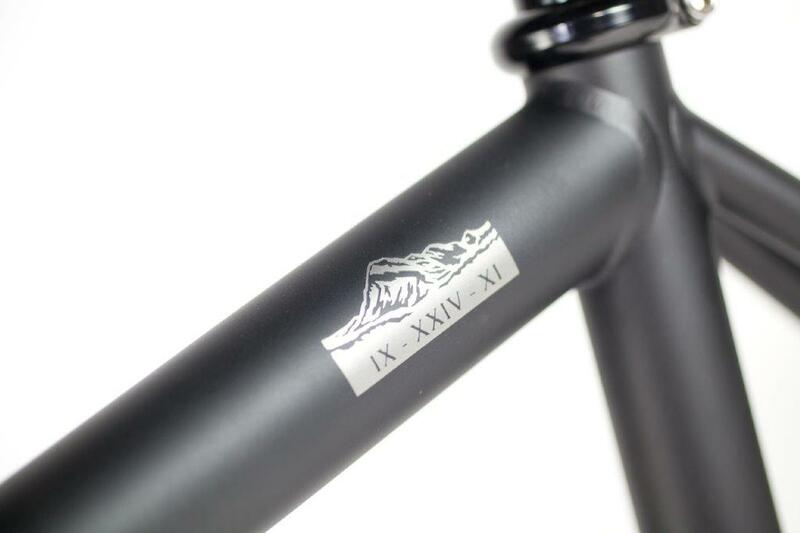 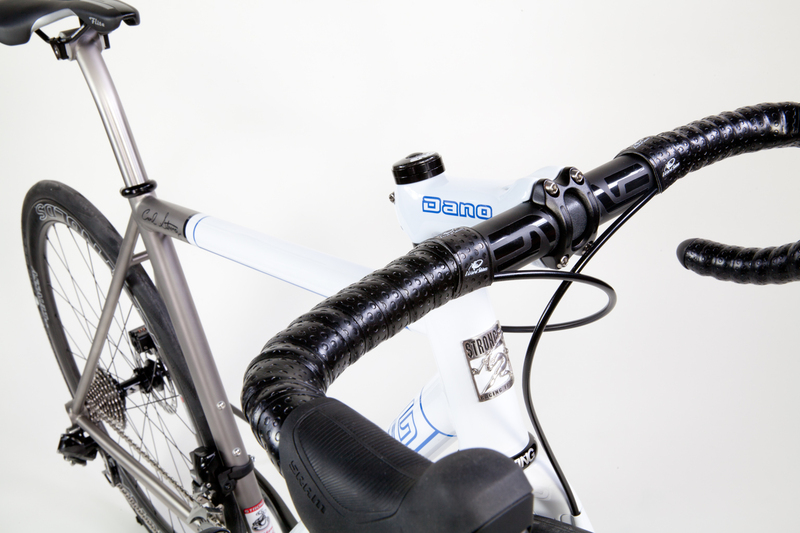 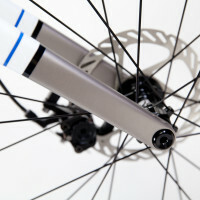 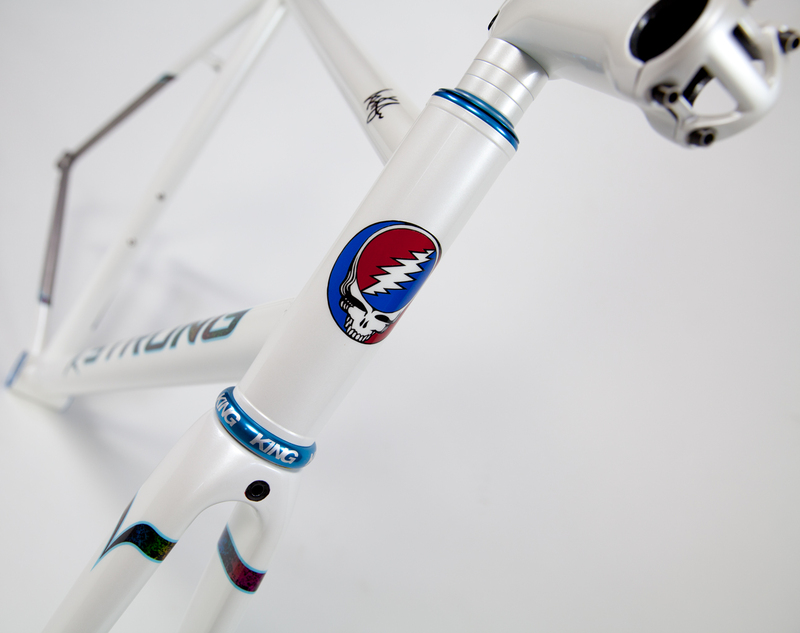 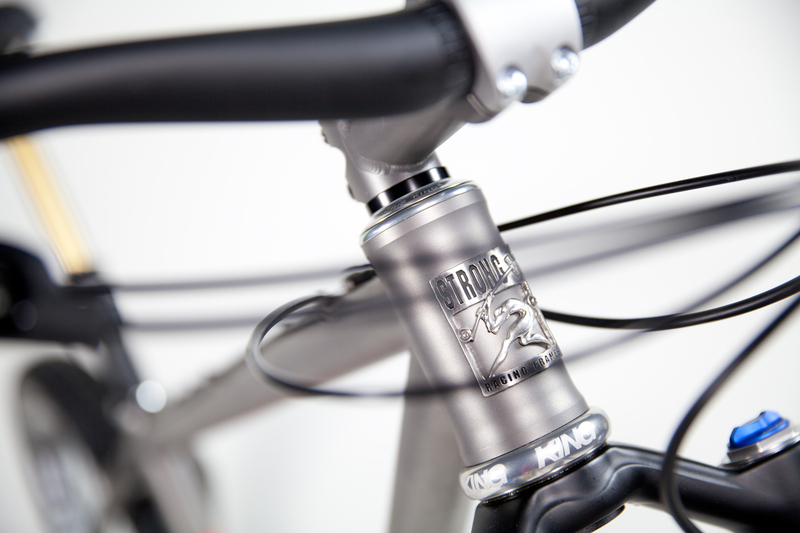 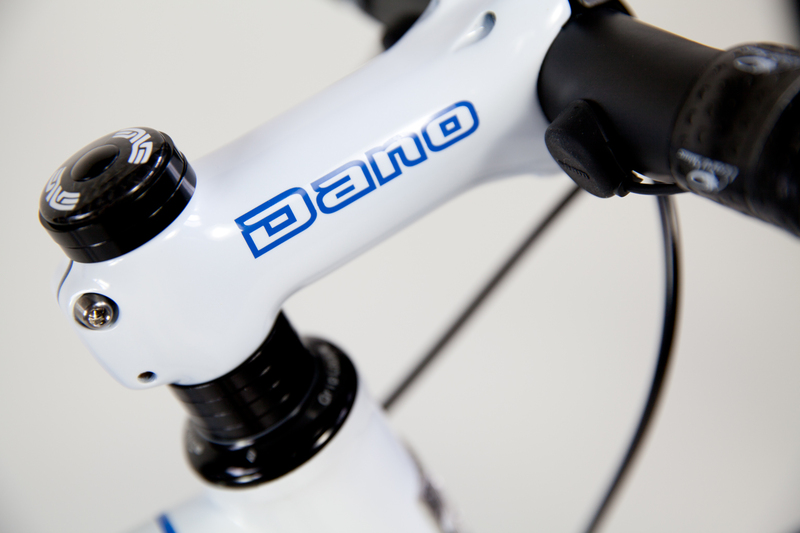 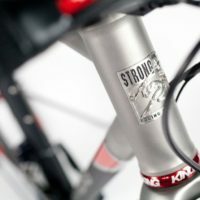 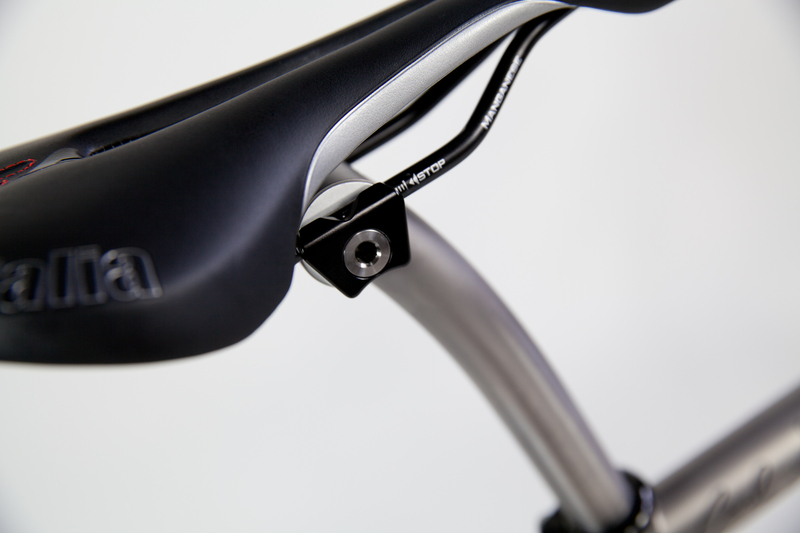 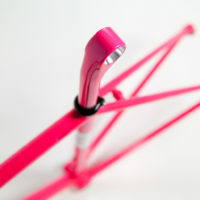 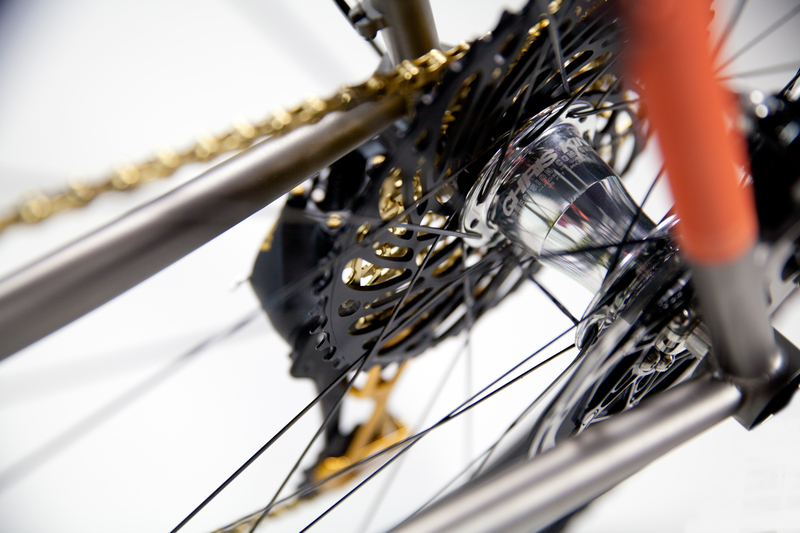 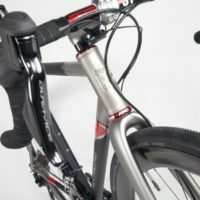 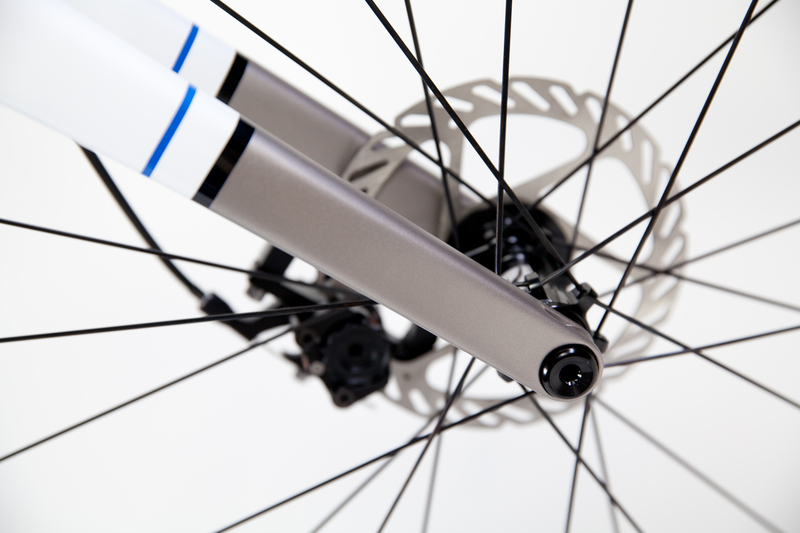 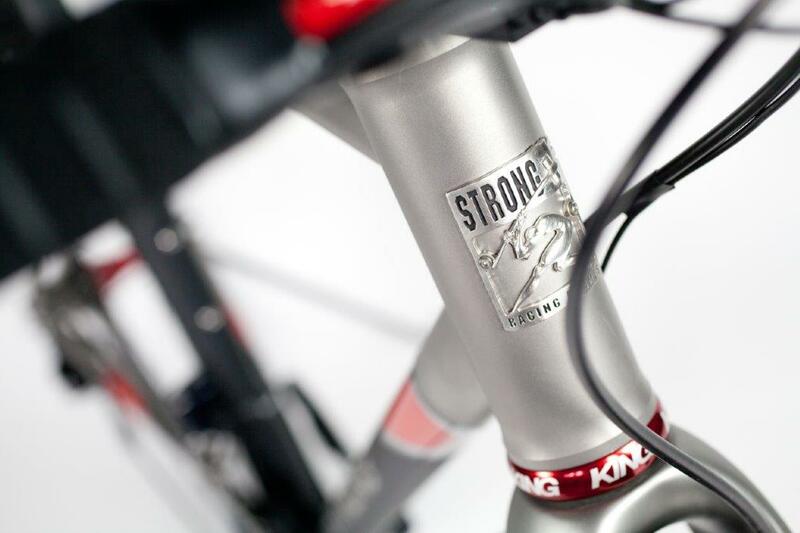 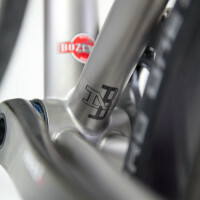 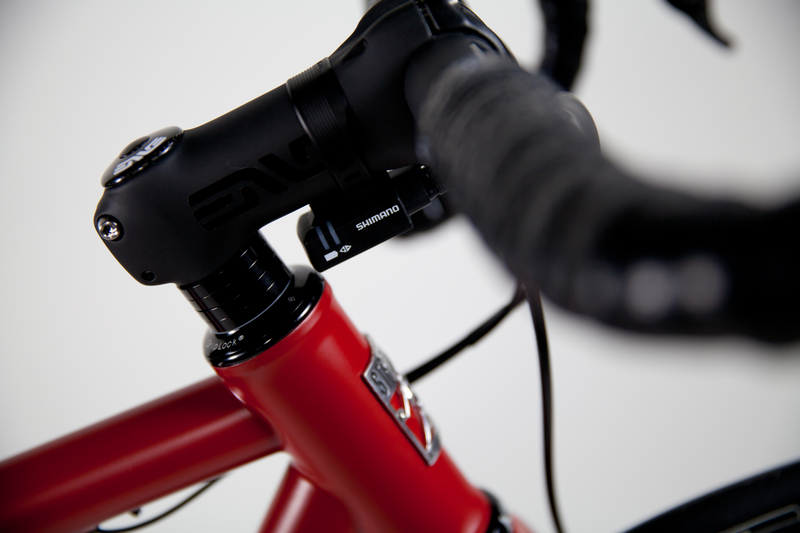 The “Hammerman” on the headtube in white or black (cast pewter badge available for $200 while supplies last).